The Information Technology Laboratory (ITL) at the National Institute of Standards and Technology (NIST) promotes the U.S. economy and public welfare by providing technical leadership for the Nation’s measurement and standards infrastructure. ITL develops tests, test methods, reference data, proof of concept implementations, and technical analyses to advance the development and productive use of information technology. ITL’s responsibilities include the development of management, administrative, technical, and physical standards and guidelines for the cost-effective security and privacy of other than national security-related information in federal information systems. The Special Publication 800-series reports on ITL’s research, guidelines, and outreach efforts in information system security, and its collaborative activities with industry, government, and academic organizations. These guidelines provide technical requirements for federal agencies implementing digital identity services and are not intended to constrain the development or use of standards outside of this purpose. These guidelines focus on the authentication of subjects interacting with government systems over open networks, establishing that a given claimant is a subscriber who has been previously authenticated. The result of the authentication process may be used locally by the system performing the authentication or may be asserted elsewhere in a federated identity system. This document defines technical requirements for each of the three authenticator assurance levels. This publication supersedes corresponding sections of NIST Special Publication (SP) 800-63-2.
authentication; credential service provider; digital authentication; digital credentials; electronic authentication; electronic credentials, federation. The authors gratefully acknowledge Kaitlin Boeckl for her artistic graphics contributions to all volumes in the SP 800-63 suite and the contributions of our many reviewers, including Joni Brennan from the Digital ID & Authentication Council of Canada (DIACC), Kat Megas, Ellen Nadeau, and Ben Piccarreta from NIST, and Ryan Galluzzo and Danna Gabel O’Rourke from Deloitte & Touche LLP. The authors would also like to acknowledge the thought leadership and innovation of the original authors: Donna F. Dodson, W. Timothy Polk, Sarbari Gupta, and Emad A. Nabbus. Without their tireless efforts, we would not have had the incredible baseline from which to evolve 800-63 to the document it is today. In addition, special thanks to the Federal Privacy Council’s Digital Authentication Task Force for the contributions to the development of privacy requirements and considerations. The terms “CAN” and “CANNOT” indicate a possibility or capability, whether material, physical or causal or, in the negative, the absence of that possibility or capability. This document and its companion documents, Special Publication (SP) 800-63, SP 800-63A, and SP 800-63C, provide technical guidelines to agencies for the implementation of digital authentication. Digital identity is the unique representation of a subject engaged in an online transaction. A digital identity is always unique in the context of a digital service, but does not necessarily need to be traceable back to a specific real-life subject. In other words, accessing a digital service may not mean that the underlying subject’s real-life representation is known. Identity proofing establishes that a subject is actually who they claim to be. Digital authentication is the process of determining the validity of one or more authenticators used to claim a digital identity. Authentication establishes that a subject attempting to access a digital service is in control of the technologies used to authenticate. For services in which return visits are applicable, successfully authenticating provides reasonable risk-based assurances that the subject accessing the service today is the same as the one who accessed the service previously. Digital identity presents a technical challenge because it often involves the proofing of individuals over an open network and always involves the authentication of individuals over an open network. This presents multiple opportunities for impersonation and other attacks which can lead to fraudulent claims of a subject’s digital identity. The ongoing authentication of subscribers is central to the process of associating a subscriber with their online activity. Subscriber authentication is performed by verifying that the claimant controls one or more authenticators (called tokens in earlier versions of SP 800-63) associated with a given subscriber. A successful authentication results in the assertion of an identifier, either pseudonymous or non-pseudonymous, and optionally other identity information, to the relying party (RP). This document provides recommendations on types of authentication processes, including choices of authenticators, that may be used at various Authenticator Assurance Levels (AALs). It also provides recommendations on the lifecycle of authenticators, including revocation in the event of loss or theft. This technical guideline applies to digital authentication of subjects to systems over a network. It does not address the authentication of a person for physical access (e.g., to a building), though some credentials used for digital access may also be used for physical access authentication. This technical guideline also requires that federal systems and service providers participating in authentication protocols be authenticated to subscribers. The strength of an authentication transaction is characterized by an ordinal measurement known as the AAL. Stronger authentication (a higher AAL) requires malicious actors to have better capabilities and expend greater resources in order to successfully subvert the authentication process. Authentication at higher AALs can effectively reduce the risk of attacks. A high-level summary of the technical requirements for each of the AALs is provided below; see Sections 4 and 5 of this document for specific normative requirements. Authenticator Assurance Level 1: AAL1 provides some assurance that the claimant controls an authenticator bound to the subscriber’s account. AAL1 requires either single-factor or multi-factor authentication using a wide range of available authentication technologies. Successful authentication requires that the claimant prove possession and control of the authenticator through a secure authentication protocol. Authenticator Assurance Level 2: AAL2 provides high confidence that the claimant controls an authenticator(s) bound to the subscriber’s account. Proof of possession and control of two different authentication factors is required through secure authentication protocol(s). Approved cryptographic techniques are required at AAL2 and above. Authenticator Assurance Level 3: AAL3 provides very high confidence that the claimant controls authenticator(s) bound to the subscriber’s account. Authentication at AAL3 is based on proof of possession of a key through a cryptographic protocol. AAL3 authentication requires a hardware-based authenticator and an authenticator that provides verifier impersonation resistance; the same device may fulfill both these requirements. In order to authenticate at AAL3, claimants are required to prove possession and control of two distinct authentication factors through secure authentication protocol(s). Approved cryptographic techniques are required. See SP 800-63, Appendix A for a complete set of definitions and abbreviations. This section contains both normative and informative material. To satisfy the requirements of a given AAL, a claimant SHALL be authenticated with at least a given level of strength to be recognized as a subscriber. The result of an authentication process is an identifier that SHALL be used each time that subscriber authenticates to that RP. The identifier MAY be pseudonymous. Subscriber identifiers SHOULD NOT be reused for a different subject but SHOULD be reused when a previously-enrolled subject is re-enrolled by the CSP. Other attributes that identify the subscriber as a unique subject MAY also be provided. Detailed normative requirements for authenticators and verifiers at each AAL are provided in Section 5. See SP 800-63 Section 6.2 for details on how to choose the most appropriate AAL. FIPS 140 requirements are satisfied by FIPS 140-2 or newer revisions. At IAL1, it is possible that attributes are collected and made available by the digital identity service. Any PII or other personal information — whether self-asserted or validated — requires multi-factor authentication. Therefore, agencies SHALL select a minimum of AAL2 when self-asserted PII or other personal information is made available online. AAL1 provides some assurance that the claimant controls an authenticator bound to the subscriber’s account. AAL1 requires either single-factor or multi-factor authentication using a wide range of available authentication technologies. Successful authentication requires that the claimant prove possession and control of the authenticator through a secure authentication protocol. Cryptographic authenticators used at AAL1 SHALL use approved cryptography. Software-based authenticators that operate within the context of an operating system MAY, where applicable, attempt to detect compromise (e.g., by malware) of the user endpoint in which they are running and SHOULD NOT complete the operation when such a compromise is detected. Communication between the claimant and verifier (using the primary channel in the case of an out-of-band authenticator) SHALL be via an authenticated protected channel to provide confidentiality of the authenticator output and resistance to man-in-the-middle (MitM) attacks. Verifiers operated by government agencies at AAL1 SHALL be validated to meet the requirements of FIPS 140 Level 1. Periodic reauthentication of subscriber sessions SHALL be performed as described in Section 7.2. At AAL1, reauthentication of the subscriber SHOULD be repeated at least once per 30 days during an extended usage session, regardless of user activity. The session SHOULD be terminated (i.e., logged out) when this time limit is reached. The CSP SHALL employ appropriately-tailored security controls from the low baseline of security controls defined in SP 800-53 or equivalent federal (e.g. FEDRAMP) or industry standard. The CSP SHALL ensure that the minimum assurance-related controls for low-impact systems, or equivalent, are satisfied. The CSP shall comply with its respective records retention policies in accordance with applicable laws, regulations, and policies, including any National Archives and Records Administration (NARA) records retention schedules that may apply. If the CSP opts to retain records in the absence of any mandatory requirements, the CSP SHALL conduct a risk management process, including assessments of privacy and security risks, to determine how long records should be retained and SHALL inform the subscriber of that retention policy. AAL2 provides high confidence that the claimant controls authenticator(s) bound to the subscriber’s account. Proof of possession and control of two distinct authentication factors is required through secure authentication protocol(s). Approved cryptographic techniques are required at AAL2 and above. At AAL2, authentication SHALL occur by the use of either a multi-factor authenticator or a combination of two single-factor authenticators. A multi-factor authenticator requires two factors to execute a single authentication event, such as a cryptographically-secure device with an integrated biometric sensor that is required to activate the device. Authenticator requirements are specified in Section 5. Cryptographic authenticators used at AAL2 SHALL use approved cryptography. Authenticators procured by government agencies SHALL be validated to meet the requirements of FIPS 140 Level 1. Software-based authenticators that operate within the context of an operating system MAY, where applicable, attempt to detect compromise of the platform in which they are running (e.g., by malware) and SHOULD NOT complete the operation when such a compromise is detected. At least one authenticator used at AAL2 SHALL be replay resistant as described in Section 5.2.8. Authentication at AAL2 SHOULD demonstrate authentication intent from at least one authenticator as discussed in Section 5.2.9. Communication between the claimant and verifier (the primary channel in the case of an out-of-band authenticator) SHALL be via an authenticated protected channel to provide confidentiality of the authenticator output and resistance to MitM attacks. Verifiers operated by government agencies at AAL2 SHALL be validated to meet the requirements of FIPS 140 Level 1. When a device such as a smartphone is used in the authentication process, the unlocking of that device (typically done using a PIN or biometric) SHALL NOT be considered one of the authentication factors. Generally, it is not possible for a verifier to know that the device had been locked or if the unlock process met the requirements for the relevant authenticator type. When a biometric factor is used in authentication at AAL2, the performance requirements stated in Section 5.2.3 SHALL be met, and the verifier SHOULD make a determination that the biometric sensor and subsequent processing meet these requirements. Periodic reauthentication of subscriber sessions SHALL be performed as described in Section 7.2. At AAL2, authentication of the subscriber SHALL be repeated at least once per 12 hours during an extended usage session, regardless of user activity. Reauthentication of the subscriber SHALL be repeated following any period of inactivity lasting 30 minutes or longer. The session SHALL be terminated (i.e., logged out) when either of these time limits is reached. Reauthentication of a session that has not yet reached its time limit MAY require only a memorized secret or a biometric in conjunction with the still-valid session secret. The verifier MAY prompt the user to cause activity just before the inactivity timeout. The CSP SHALL employ appropriately-tailored security controls from the moderate baseline of security controls defined in SP 800-53 or equivalent federal (e.g., FEDRAMP) or industry standard. The CSP SHALL ensure that the minimum assurance-related controls for moderate-impact systems or equivalent are satisfied. The CSP shall comply with its respective records retention policies in accordance with applicable laws, regulations, and policies, including any NARA records retention schedules that may apply. If the CSP opts to retain records in the absence of any mandatory requirements, the CSP SHALL conduct a risk management process, including assessments of privacy and security risks to determine how long records should be retained and SHALL inform the subscriber of that retention policy. AAL3 provides very high confidence that the claimant controls authenticator(s) bound to the subscriber’s account. Authentication at AAL3 is based on proof of possession of a key through a cryptographic protocol. AAL3 authentication SHALL use a hardware-based authenticator and an authenticator that provides verifier impersonation resistance — the same device MAY fulfill both these requirements. In order to authenticate at AAL3, claimants SHALL prove possession and control of two distinct authentication factors through secure authentication protocol(s). Approved cryptographic techniques are required. Communication between the claimant and verifier SHALL be via an authenticated protected channel to provide confidentiality of the authenticator output and resistance to MitM attacks. All cryptographic device authenticators used at AAL3 SHALL be verifier impersonation resistant as described in Section 5.2.5 and SHALL be replay resistant as described in Section 5.2.8. All authentication and reauthentication processes at AAL3 SHALL demonstrate authentication intent from at least one authenticator as described in Section 5.2.9. Multi-factor authenticators used at AAL3 SHALL be hardware cryptographic modules validated at FIPS 140 Level 2 or higher overall with at least FIPS 140 Level 3 physical security. Single-factor cryptographic devices used at AAL3 SHALL be validated at FIPS 140 Level 1 or higher overall with at least FIPS 140 Level 3 physical security. Verifiers at AAL3 SHALL be validated at FIPS 140 Level 1 or higher. Verifiers at AAL3 SHALL be verifier compromise resistant as described in Section 5.2.7 with respect to at least one authentication factor. Hardware-based authenticators and verifiers at AAL3 SHOULD resist relevant side-channel (e.g., timing and power-consumption analysis) attacks. Relevant side-channel attacks SHALL be determined by a risk assessment performed by the CSP. When a device such a smartphone is used in the authentication process — presuming that the device is able to meet the requirements above — the unlocking of that device SHALL NOT be considered to satisfy one of the authentication factors. This is because it is generally not possible for verifier to know that the device had been locked nor whether the unlock process met the requirements for the relevant authenticator type. When a biometric factor is used in authentication at AAL3, the verifier SHALL make a determination that the biometric sensor and subsequent processing meet the performance requirements stated in Section 5.2.3. Periodic reauthentication of subscriber sessions SHALL be performed as described in Section 7.2. At AAL3, authentication of the subscriber SHALL be repeated at least once per 12 hours during an extended usage session, regardless of user activity, as described in Section 7.2. Reauthentication of the subscriber SHALL be repeated following any period of inactivity lasting 15 minutes or longer. Reauthentication SHALL use both authentication factors. The session SHALL be terminated (i.e., logged out) when either of these time limits is reached. The verifier MAY prompt the user to cause activity just before the inactivity timeout. The CSP SHALL employ appropriately-tailored security controls from the high baseline of security controls defined in SP 800-53 or an equivalent federal (e.g., FEDRAMP) or industry standard. The CSP SHALL ensure that the minimum assurance-related controls for high-impact systems or equivalent are satisfied. The CSP shall comply with its respective records retention policies in accordance with applicable laws, regulations, and policies, including any NARA records retention schedules that may apply. If the CSP opts to retain records in the absence of any mandatory requirements, the CSP SHALL conduct a risk management process, including assessments of privacy and security risks, to determine how long records should be retained and SHALL inform the subscriber of that retention policy. The CSP SHALL employ appropriately-tailored privacy controls defined in SP 800-53 or equivalent industry standard. If CSPs process attributes for purposes other than identity proofing, authentication, or attribute assertions (collectively “identity service”), related fraud mitigation, or to comply with law or legal process, CSPs SHALL implement measures to maintain predictability and manageability commensurate with the privacy risk arising from the additional processing. Measures MAY include providing clear notice, obtaining subscriber consent, or enabling selective use or disclosure of attributes. When CSPs use consent measures, CSPs SHALL NOT make consent for the additional processing a condition of the identity service. The agency SHALL consult with their Senior Agency Official for Privacy (SAOP) and conduct an analysis to determine whether the collection of PII to issue or maintain authenticators triggers the requirements of the Privacy Act of 1974 [Privacy Act] (see Section 9.4). The agency SHALL publish a System of Records Notice (SORN) to cover such collections, as applicable. The agency SHALL consult with their SAOP and conduct an analysis to determine whether the collection of PII to issue or maintain authenticators triggers the requirements of the E-Government Act of 2002 [E-Gov]. The agency SHALL publish a Privacy Impact Assessment (PIA) to cover such collection, as applicable. This section provides the detailed requirements specific to each type of authenticator. With the exception of reauthentication requirements specified in Section 4 and the requirement for verifier impersonation resistance at AAL3 described in Section 5.2.5, the technical requirements for each of the authenticator types are the same regardless of the AAL at which the authenticator is used. A Memorized Secret authenticator — commonly referred to as a password or, if numeric, a PIN — is a secret value intended to be chosen and memorized by the user. Memorized secrets need to be of sufficient complexity and secrecy that it would be impractical for an attacker to guess or otherwise discover the correct secret value. A memorized secret is something you know. Memorized secrets SHALL be at least 8 characters in length if chosen by the subscriber. Memorized secrets chosen randomly by the CSP or verifier SHALL be at least 6 characters in length and MAY be entirely numeric. If the CSP or verifier disallows a chosen memorized secret based on its appearance on a blacklist of compromised values, the subscriber SHALL be required to choose a different memorized secret. No other complexity requirements for memorized secrets SHOULD be imposed. A rationale for this is presented in Appendix A Strength of Memorized Secrets. Verifiers SHALL require subscriber-chosen memorized secrets to be at least 8 characters in length. Verifiers SHOULD permit subscriber-chosen memorized secrets at least 64 characters in length. All printing ASCII [RFC 20] characters as well as the space character SHOULD be acceptable in memorized secrets. Unicode [ISO/ISC 10646] characters SHOULD be accepted as well. To make allowances for likely mistyping, verifiers MAY replace multiple consecutive space characters with a single space character prior to verification, provided that the result is at least 8 characters in length. Truncation of the secret SHALL NOT be performed. For purposes of the above length requirements, each Unicode code point SHALL be counted as a single character. If Unicode characters are accepted in memorized secrets, the verifier SHOULD apply the Normalization Process for Stabilized Strings using either the NFKC or NFKD normalization defined in Section 12.1 of Unicode Standard Annex 15 [UAX 15]. This process is applied before hashing the byte string representing the memorized secret. Subscribers choosing memorized secrets containing Unicode characters SHOULD be advised that some characters may be represented differently by some endpoints, which can affect their ability to authenticate successfully. Memorized secrets that are randomly chosen by the CSP (e.g., at enrollment) or by the verifier (e.g., when a user requests a new PIN) SHALL be at least 6 characters in length and SHALL be generated using an approved random bit generator [SP 800-90Ar1]. Memorized secret verifiers SHALL NOT permit the subscriber to store a “hint” that is accessible to an unauthenticated claimant. Verifiers SHALL NOT prompt subscribers to use specific types of information (e.g., “What was the name of your first pet?”) when choosing memorized secrets. Verifiers SHOULD offer guidance to the subscriber, such as a password-strength meter [Meters], to assist the user in choosing a strong memorized secret. This is particularly important following the rejection of a memorized secret on the above list as it discourages trivial modification of listed (and likely very weak) memorized secrets [Blacklists]. Verifiers SHALL implement a rate-limiting mechanism that effectively limits the number of failed authentication attempts that can be made on the subscriber’s account as described in Section 5.2.2. Verifiers SHOULD NOT impose other composition rules (e.g., requiring mixtures of different character types or prohibiting consecutively repeated characters) for memorized secrets. Verifiers SHOULD NOT require memorized secrets to be changed arbitrarily (e.g., periodically). However, verifiers SHALL force a change if there is evidence of compromise of the authenticator. Verifiers SHOULD permit claimants to use “paste” functionality when entering a memorized secret. This facilitates the use of password managers, which are widely used and in many cases increase the likelihood that users will choose stronger memorized secrets. In order to assist the claimant in successfully entering a memorized secret, the verifier SHOULD offer an option to display the secret — rather than a series of dots or asterisks — until it is entered. This allows the claimant to verify their entry if they are in a location where their screen is unlikely to be observed. The verifier MAY also permit the user’s device to display individual entered characters for a short time after each character is typed to verify correct entry. This is particularly applicable on mobile devices. The verifier SHALL use approved encryption and an authenticated protected channel when requesting memorized secrets in order to provide resistance to eavesdropping and MitM attacks. Verifiers SHALL store memorized secrets in a form that is resistant to offline attacks. Memorized secrets SHALL be salted and hashed using a suitable one-way key derivation function. Key derivation functions take a password, a salt, and a cost factor as inputs then generate a password hash. Their purpose is to make each password guessing trial by an attacker who has obtained a password hash file expensive and therefore the cost of a guessing attack high or prohibitive. Examples of suitable key derivation functions include Password-based Key Derivation Function 2 (PBKDF2) [SP 800-132] and Balloon [BALLOON]. A memory-hard function SHOULD be used because it increases the cost of an attack. The key derivation function SHALL use an approved one-way function such as Keyed Hash Message Authentication Code (HMAC) [FIPS 198-1], any approved hash function in SP 800-107, Secure Hash Algorithm 3 (SHA-3) [FIPS 202], CMAC [SP 800-38B] or Keccak Message Authentication Code (KMAC), Customizable SHAKE (cSHAKE), or ParallelHash [SP 800-185]. The chosen output length of the key derivation function SHOULD be the same as the length of the underlying one-way function output. The salt SHALL be at least 32 bits in length and be chosen arbitrarily so as to minimize salt value collisions among stored hashes. Both the salt value and the resulting hash SHALL be stored for each subscriber using a memorized secret authenticator. For PBKDF2, the cost factor is an iteration count: the more times the PBKDF2 function is iterated, the longer it takes to compute the password hash. Therefore, the iteration count SHOULD be as large as verification server performance will allow, typically at least 10,000 iterations. In addition, verifiers SHOULD perform an additional iteration of a key derivation function using a salt value that is secret and known only to the verifier. This salt value, if used, SHALL be generated by an approved random bit generator [SP 800-90Ar1] and provide at least the minimum security strength specified in the latest revision of SP 800-131A (112 bits as of the date of this publication). The secret salt value SHALL be stored separately from the hashed memorized secrets (e.g., in a specialized device like a hardware security module). With this additional iteration, brute-force attacks on the hashed memorized secrets are impractical as long as the secret salt value remains secret. A look-up secret authenticator is a physical or electronic record that stores a set of secrets shared between the claimant and the CSP. The claimant uses the authenticator to look up the appropriate secret(s) needed to respond to a prompt from the verifier. For example, the verifier may ask a claimant to provide a specific subset of the numeric or character strings printed on a card in table format. A common application of look-up secrets is the use of "recovery keys" stored by the subscriber for use in the event another authenticator is lost or malfunctions. A look-up secret is something you have. CSPs creating look-up secret authenticators SHALL use an approved random bit generator [SP 800-90Ar1] to generate the list of secrets and SHALL deliver the authenticator securely to the subscriber. Look-up secrets SHALL have at least 20 bits of entropy. Look-up secrets MAY be distributed by the CSP in person, by postal mail to the subscriber’s address of record, or by online distribution. If distributed online, look-up secrets SHALL be distributed over a secure channel in accordance with the post-enrollment binding requirements in Section 6.1.2. If the authenticator uses look-up secrets sequentially from a list, the subscriber MAY dispose of used secrets, but only after a successful authentication. Verifiers of look-up secrets SHALL prompt the claimant for the next secret from their authenticator or for a specific (e.g., numbered) secret. A given secret from an authenticator SHALL be used successfully only once. If the look-up secret is derived from a grid card, each cell of the grid SHALL be used only once. Verifiers SHALL store look-up secrets in a form that is resistant to offline attacks. Look-up secrets having at least 112 bits of entropy SHALL be hashed with an approved one-way function as described in Section 5.1.1.2. Look-up secrets with fewer than 112 bits of entropy SHALL be salted and hashed using a suitable one-way key derivation function, also described in Section 5.1.1.2. The salt value SHALL be at least 32 in bits in length and arbitrarily chosen so as to minimize salt value collisions among stored hashes. Both the salt value and the resulting hash SHALL be stored for each look-up secret. For look-up secrets that have less than 64 bits of entropy, the verifier SHALL implement a rate-limiting mechanism that effectively limits the number of failed authentication attempts that can be made on the subscriber’s account as described in Section 5.2.2. The verifier SHALL use approved encryption and an authenticated protected channel when requesting look-up secrets in order to provide resistance to eavesdropping and MitM attacks. An out-of-band authenticator is a physical device that is uniquely addressable and can communicate securely with the verifier over a distinct communications channel, referred to as the secondary channel. The device is possessed and controlled by the claimant and supports private communication over this secondary channel, separate from the primary channel for e-authentication. An out-of-band authenticator is something you have. - The claimant transfers a secret received by the out-of-band device via the secondary channel to the verifier using the primary channel. For example, the claimant may receive the secret on their mobile device and type it (typically a 6-digit code) into their authentication session. - The claimant transfers a secret received via the primary channel to the out-of-band device for transmission to the verifier via the secondary channel. 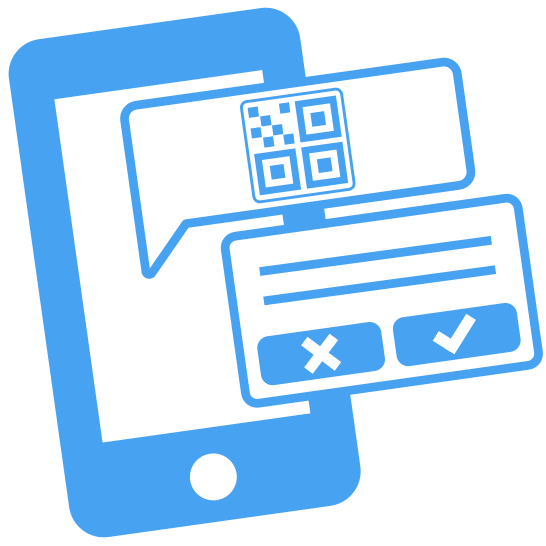 For example, the claimant may view the secret on their authentication session and either type it into an app on their mobile device or use a technology such as a barcode or QR code to effect the transfer. - The claimant compares secrets received from the primary channel and the secondary channel and confirms the authentication via the secondary channel. The secret's purpose is to securely bind the authentication operation on the primary and secondary channel. When the response is via the primary communication channel, the secret also establishes the claimant's control of the out-of-band device. The out-of-band authenticator SHALL establish a separate channel with the verifier in order to retrieve the out-of-band secret or authentication request. This channel is considered to be out-of-band with respect to the primary communication channel (even if it terminates on the same device) provided the device does not leak information from one channel to the other without the authorization of the claimant. The out-of-band device SHOULD be uniquely addressable and communication over the secondary channel SHALL be encrypted unless sent via the public switched telephone network (PSTN). For additional authenticator requirements specific to the PSTN, see Section 5.1.3.3. Methods that do not prove possession of a specific device, such as voice-over-IP (VOIP) or email, SHALL NOT be used for out-of-band authentication. Establish an authenticated protected channel to the verifier using approved cryptography. The key used SHALL be stored in suitably secure storage available to the authenticator application (e.g., keychain storage, TPM, TEE, secure element). Authenticate to a public mobile telephone network using a SIM card or equivalent that uniquely identifies the device. This method SHALL only be used if a secret is being sent from the verifier to the out-of-band device via the PSTN (SMS or voice). If a secret is sent by the verifier to the out-of-band device, the device SHOULD NOT display the authentication secret while it is locked by the owner (i.e., requires an entry of a PIN, passcode, or biometric to view). However, authenticators SHOULD indicate the receipt of an authentication secret on a locked device. The authenticator SHALL accept transfer of the secret from the primary channel which it SHALL send to the verifier over the secondary channel to associate the approval with the authentication transaction. The claimant MAY perform the transfer manually or use a technology such as a barcode or QR code to effect the transfer. The authenticator SHALL present a secret received via the secondary channel from the verifier and prompt the claimant to verify the consistency of that secret with the primary channel, prior to accepting a yes/no response from the claimant. It SHALL then send that response to the verifier. For additional verification requirements specific to the PSTN, see Section 5.1.3.3. If out-of-band verification is to be made using a secure application, such as on a smart phone, the verifier MAY send a push notification to that device. The verifier then waits for the establishment of an authenticated protected channel and verifies the authenticator’s identifying key. The verifier SHALL NOT store the identifying key itself, but SHALL use a verification method (e.g., an approved hash function or proof of possession of the identifying key) to uniquely identify the authenticator. Once authenticated, the verifier transmits the authentication secret to the authenticator. Transfer of secret to primary channel: The verifier MAY signal the device containing the subscriber’s authenticator to indicate readiness to authenticate. It SHALL then transmit a random secret to the out-of-band authenticator. The verifier SHALL then wait for the secret to be returned on the primary communication channel. Transfer of secret to secondary channel: The verifier SHALL display a random authentication secret to the claimant via the primary channel. It SHALL then wait for the secret to be returned on the secondary channel from the claimant’s out-of-band authenticator. Verification of secrets by claimant: The verifier SHALL display a random authentication secret to the claimant via the primary channel, and SHALL send the same secret to the out-of-band authenticator via the secondary channel for presentation to the claimant. It SHALL then wait for an approval (or disapproval) message via the secondary channel. In all cases, the authentication SHALL be considered invalid if not completed within 10 minutes. In order to provide replay resistance as described in Section 5.2.8, verifiers SHALL accept a given authentication secret only once during the validity period. The verifier SHALL generate random authentication secrets with at least 20 bits of entropy using an approved random bit generator [SP 800-90Ar1]. If the authentication secret has less than 64 bits of entropy, the verifier SHALL implement a rate-limiting mechanism that effectively limits the number of failed authentication attempts that can be made on the subscriber’s account as described in Section 5.2.2. Use of the PSTN for out-of-band verification is RESTRICTED as described in this section and in Section 5.2.10. If out-of-band verification is to be made using the PSTN, the verifier SHALL verify that the pre-registered telephone number being used is associated with a specific physical device. Changing the pre-registered telephone number is considered to be the binding of a new authenticator and SHALL only occur as described in Section 6.1.2. NOTE: Consistent with the restriction of authenticators in Section 5.2.10, NIST may adjust the RESTRICTED status of the PSTN over time based on the evolution of the threat landscape and the technical operation of the PSTN. A single-factor OTP device generates OTPs. This category includes hardware devices and software-based OTP generators installed on devices such as mobile phones. These devices have an embedded secret that is used as the seed for generation of OTPs and does not require activation through a second factor. The OTP is displayed on the device and manually input for transmission to the verifier, thereby proving possession and control of the device. An OTP device may, for example, display 6 characters at a time. A single-factor OTP device is something you have. Single-factor OTP devices are similar to look-up secret authenticators with the exception that the secrets are cryptographically and independently generated by the authenticator and verifier and compared by the verifier. The secret is computed based on a nonce that may be time-based or from a counter on the authenticator and verifier. Single-factor OTP authenticators contain two persistent values. The first is a symmetric key that persists for the device’s lifetime. The second is a nonce that is either changed each time the authenticator is used or is based on a real-time clock. The secret key and its algorithm SHALL provide at least the minimum security strength specified in the latest revision of SP 800-131A (112 bits as of the date of this publication). The nonce SHALL be of sufficient length to ensure that it is unique for each operation of the device over its lifetime. OTP authenticators — particularly software-based OTP generators — SHOULD discourage and SHALL NOT facilitate the cloning of the secret key onto multiple devices. The authenticator output is obtained by using an approved block cipher or hash function to combine the key and nonce in a secure manner. The authenticator output MAY be truncated to as few as 6 decimal digits (approximately 20 bits of entropy). If the nonce used to generate the authenticator output is based on a real-time clock, the nonce SHALL be changed at least once every 2 minutes. The OTP value associated with a given nonce SHALL be accepted only once. Single-factor OTP verifiers effectively duplicate the process of generating the OTP used by the authenticator. As such, the symmetric keys used by authenticators are also present in the verifier, and SHALL be strongly protected against compromise. When a single-factor OTP authenticator is being associated with a subscriber account, the verifier or associated CSP SHALL use approved cryptography to either generate and exchange or to obtain the secrets required to duplicate the authenticator output. The verifier SHALL use approved encryption and an authenticated protected channel when collecting the OTP in order to provide resistance to eavesdropping and MitM attacks. Time-based OTPs [RFC 6238] SHALL have a defined lifetime that is determined by the expected clock drift — in either direction — of the authenticator over its lifetime, plus allowance for network delay and user entry of the OTP. In order to provide replay resistance as described in Section 5.2.8, verifiers SHALL accept a given time-based OTP only once during the validity period. If the authenticator output has less than 64 bits of entropy, the verifier SHALL implement a rate-limiting mechanism that effectively limits the number of failed authentication attempts that can be made on the subscriber’s account as described in Section 5.2.2. A multi-factor OTP device generates OTPs for use in authentication after activation through an additional authentication factor. This includes hardware devices and software-based OTP generators installed on devices such as mobile phones. 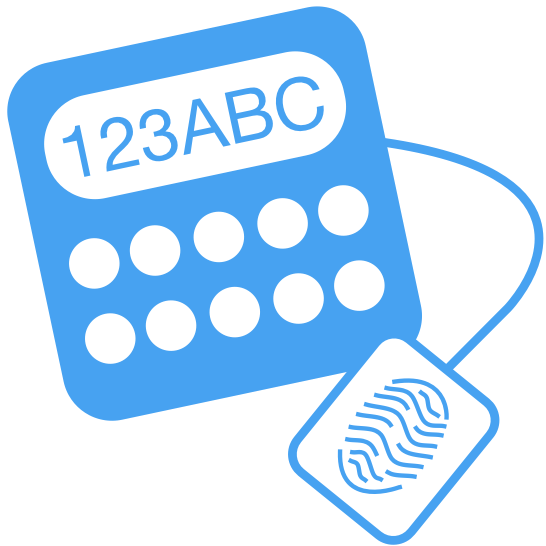 The second factor of authentication may be achieved through some kind of integral entry pad, an integral biometric (e.g., fingerprint) reader, or a direct computer interface (e.g., USB port). The OTP is displayed on the device and manually input for transmission to the verifier. For example, an OTP device may display 6 characters at a time, thereby proving possession and control of the device. The multi-factor OTP device is something you have, and it SHALL be activated by either something you know or something you are. Multi-factor OTP authenticators operate in a similar manner to single-factor OTP authenticators (see Section 5.1.4.1), except that they require the entry of either a memorized secret or the use of a biometric to obtain the OTP from the authenticator. Each use of the authenticator SHALL require the input of the additional factor. In addition to activation information, multi-factor OTP authenticators contain two persistent values. The first is a symmetric key that persists for the device’s lifetime. The second is a nonce that is either changed each time the authenticator is used or is based on a real-time clock. The secret key and its algorithm SHALL provide at least the minimum security strength specified in the latest revision of [SP 800-131A] (112 bits as of the date of this publication). The nonce SHALL be of sufficient length to ensure that it is unique for each operation of the device over its lifetime. OTP authenticators — particularly software-based OTP generators — SHOULD discourage and SHALL NOT facilitate the cloning of the secret key onto multiple devices. Any memorized secret used by the authenticator for activation SHALL be a randomly-chosen numeric secret at least 6 decimal digits in length or other memorized secret meeting the requirements of Section 5.1.1.2 and SHALL be rate limited as specified in Section 5.2.2. A biometric activation factor SHALL meet the requirements of Section 5.2.3, including limits on the number of consecutive authentication failures. The unencrypted key and activation secret or biometric sample — and any biometric data derived from the biometric sample such as a probe produced through signal processing — SHALL be zeroized immediately after an OTP has been generated. Multi-factor OTP verifiers effectively duplicate the process of generating the OTP used by the authenticator, but without the requirement that a second factor be provided. As such, the symmetric keys used by authenticators SHALL be strongly protected against compromise. When a multi-factor OTP authenticator is being associated with a subscriber account, the verifier or associated CSP SHALL use approved cryptography to either generate and exchange or to obtain the secrets required to duplicate the authenticator output. The verifier or CSP SHALL also establish, via the authenticator source, that the authenticator is a multi-factor device. In the absence of a trusted statement that it is a multi-factor device, the verifier SHALL treat the authenticator as single-factor, in accordance with Section 5.1.4. The verifier SHALL use approved encryption and an authenticated protected channel when collecting the OTP in order to provide resistance to eavesdropping and MitM attacks. Time-based OTPs [RFC 6238] SHALL have a defined lifetime that is determined by the expected clock drift — in either direction — of the authenticator over its lifetime, plus allowance for network delay and user entry of the OTP. In order to provide replay resistance as described in Section 5.2.8, verifiers SHALL accept a given time-based OTP only once during the validity period. In the event a claimant’s authentication is denied due to duplicate use of an OTP, verifiers MAY warn the claimant in case an attacker has been able to authenticate in advance. Verifiers MAY also warn a subscriber in an existing session of the attempted duplicate use of an OTP. If the authenticator output or activation secret has less than 64 bits of entropy, the verifier SHALL implement a rate-limiting mechanism that effectively limits the number of failed authentication attempts that can be made on the subscriber’s account as described in Section 5.2.2. A biometric activation factor SHALL meet the requirements of Section 5.2.3, including limits on the number of consecutive authentication failures. A single-factor software cryptographic authenticator is a cryptographic key stored on disk or some other "soft" media. Authentication is accomplished by proving possession and control of the key. The authenticator output is highly dependent on the specific cryptographic protocol, but it is generally some type of signed message. The single-factor software cryptographic authenticator is something you have. Single-factor software cryptographic authenticators encapsulate one or more secret keys unique to the authenticator. The key SHALL be stored in suitably secure storage available to the authenticator application (e.g., keychain storage, TPM, or TEE if available). The key SHALL be strongly protected against unauthorized disclosure by the use of access controls that limit access to the key to only those software components on the device requiring access. Single-factor cryptographic software authenticators SHOULD discourage and SHALL NOT facilitate the cloning of the secret key onto multiple devices. The requirements for a single-factor cryptographic software verifier are identical to those for a single-factor cryptographic device verifier, described in Section 5.1.7.2. A single-factor cryptographic device is a hardware device that performs cryptographic operations using protected cryptographic key(s) and provides the authenticator output via direct connection to the user endpoint. The device uses embedded symmetric or asymmetric cryptographic keys, and does not require activation through a second factor of authentication. Authentication is accomplished by proving possession of the device via the authentication protocol. The authenticator output is provided by direct connection to the user endpoint and is highly dependent on the specific cryptographic device and protocol, but it is typically some type of signed message. A single-factor cryptographic device is something you have. Single-factor cryptographic device authenticators encapsulate one or more secret keys unique to the device that SHALL NOT be exportable (i.e., cannot be removed from the device). The authenticator operates by signing a challenge nonce presented through a direct computer interface (e.g., a USB port). Alternatively, the authenticator could be a suitably secure processor integrated with the user endpoint itself (e.g., a hardware TPM). Although cryptographic devices contain software, they differ from cryptographic software authenticators in that all embedded software is under control of the CSP or issuer and that the entire authenticator is subject to all applicable FIPS 140 requirements at the AAL being authenticated. The secret key and its algorithm SHALL provide at least the minimum security length specified in the latest revision of SP 800-131A (112 bits as of the date of this publication). The challenge nonce SHALL be at least 64 bits in length. Approved cryptography SHALL be used. Single-factor cryptographic device authenticators SHOULD require a physical input (e.g., the pressing of a button) in order to operate. This provides defense against unintended operation of the device, which might occur if the endpoint to which it is connected is compromised. Single-factor cryptographic device verifiers generate a challenge nonce, send it to the corresponding authenticator, and use the authenticator output to verify possession of the device. The authenticator output is highly dependent on the specific cryptographic device and protocol, but it is generally some type of signed message. The verifier has either symmetric or asymmetric cryptographic keys corresponding to each authenticator. While both types of keys SHALL be protected against modification, symmetric keys SHALL additionally be protected against unauthorized disclosure. The challenge nonce SHALL be at least 64 bits in length, and SHALL either be unique over the authenticator’s lifetime or statistically unique (i.e., generated using an approved random bit generator [SP 800-90Ar1]). The verification operation SHALL use approved cryptography. A multi-factor software cryptographic authenticator is a cryptographic key stored on disk or some other "soft" media that requires activation through a second factor of authentication. Authentication is accomplished by proving possession and control of the key. The authenticator output is highly dependent on the specific cryptographic protocol, but it is generally some type of signed message. The multi-factor software cryptographic authenticator is something you have, and it SHALL be activated by either something you know or something you are. Multi-factor software cryptographic authenticators encapsulate one or more secret keys unique to the authenticator and accessible only through the input of an additional factor, either a memorized secret or a biometric. 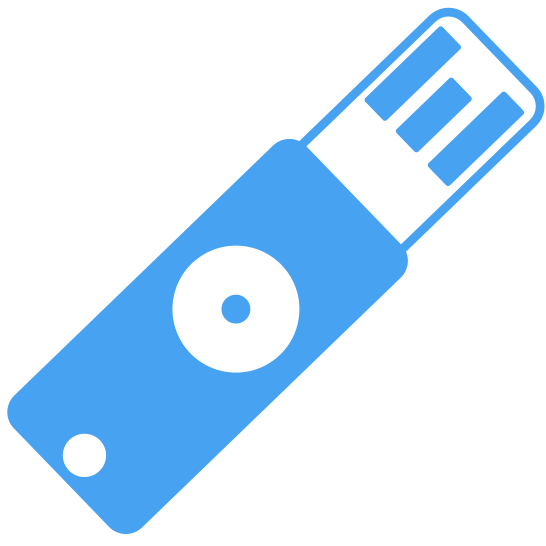 The key SHOULD be stored in suitably secure storage available to the authenticator application (e.g., keychain storage, TPM, TEE). The key SHALL be strongly protected against unauthorized disclosure by the use of access controls that limit access to the key to only those software components on the device requiring access. Multi-factor cryptographic software authenticators SHOULD discourage and SHALL NOT facilitate the cloning of the secret key onto multiple devices. Each authentication operation using the authenticator SHALL require the input of both factors. Any memorized secret used by the authenticator for activation SHALL be a randomly-chosen numeric value at least 6 decimal digits in length or other memorized secret meeting the requirements of Section 5.1.1.2 and SHALL be rate limited as specified in Section 5.2.2. A biometric activation factor SHALL meet the requirements of Section 5.2.3, including limits on the number of consecutive authentication failures. The unencrypted key and activation secret or biometric sample — and any biometric data derived from the biometric sample such as a probe produced through signal processing — SHALL be zeroized immediately after an authentication transaction has taken place. The requirements for a multi-factor cryptographic software verifier are identical to those for a single-factor cryptographic device verifier, described in Section 5.1.7.2. Verification of the output from a multi-factor cryptographic software authenticator proves use of the activation factor. A multi-factor cryptographic device is a hardware device that performs cryptographic operations using one or more protected cryptographic keys and requires activation through a second authentication factor. Authentication is accomplished by proving possession of the device and control of the key. The authenticator output is provided by direct connection to the user endpoint and is highly dependent on the specific cryptographic device and protocol, but it is typically some type of signed message. The multi-factor cryptographic device is something you have, and it SHALL be activated by either something you know or something you are. Multi-factor cryptographic device authenticators use tamper-resistant hardware to encapsulate one or more secret keys unique to the authenticator and accessible only through the input of an additional factor, either a memorized secret or a biometric. The authenticator operates by signing a challenge nonce presented through a direct computer interface (e.g., a USB port). Alternatively, the authenticator could be a suitably secure processor integrated with the user endpoint itself (e.g., a hardware TPM). Although cryptographic devices contain software, they differ from cryptographic software authenticators in that all embedded software is under control of the CSP or issuer, and that the entire authenticator is subject to any applicable FIPS 140 requirements at the selected AAL. Each authentication operation using the authenticator SHOULD require the input of the additional factor. Input of the additional factor MAY be accomplished via either direct input on the device or via a hardware connection (e.g., USB, smartcard). The requirements for a multi-factor cryptographic device verifier are identical to those for a single-factor cryptographic device verifier, described in Section 5.1.7.2. Verification of the authenticator output from a multi-factor cryptographic device proves use of the activation factor. CSPs SHALL provide subscriber instructions on how to appropriately protect the authenticator against theft or loss. The CSP SHALL provide a mechanism to revoke or suspend the authenticator immediately upon notification from subscriber that loss or theft of the authenticator is suspected. When required by the authenticator type descriptions in Section 5.1, the verifier SHALL implement controls to protect against online guessing attacks. Unless otherwise specified in the description of a given authenticator, the verifier SHALL limit consecutive failed authentication attempts on a single account to no more than 100. Requiring the claimant to complete a CAPTCHA before attempting authentication. Requiring the claimant to wait following a failed attempt for a period of time that increases as the account approaches its maximum allowance for consecutive failed attempts (e.g., 30 seconds up to an hour). Accepting only authentication requests that come from a white list of IP addresses from which the subscriber has been successfully authenticated before. Leveraging other risk-based or adaptive authentication techniques to identify user behavior that falls within, or out of, typical norms. When the subscriber successfully authenticates, the verifier SHOULD disregard any previous failed attempts for that user from the same IP address. The use of biometrics (something you are) in authentication includes both measurement of physical characteristics (e.g., fingerprint, iris, facial characteristics) and behavioral characteristics (e.g., typing cadence). Both classes are considered biometric modalities, although different modalities may differ in the extent to which they establish authentication intent as described in Section 5.2.9. Biometric characteristics do not constitute secrets. They can be obtained online or by taking a picture of someone with a camera phone (e.g., facial images) with or without their knowledge, lifted from objects someone touches (e.g., latent fingerprints), or captured with high resolution images (e.g., iris patterns). While presentation attack detection (PAD) technologies (e.g., liveness detection) can mitigate the risk of these types of attacks, additional trust in the sensor or biometric processing is required to ensure that PAD is operating in accordance with the needs of the CSP and the subscriber. Biometrics SHALL be used only as part of multi-factor authentication with a physical authenticator (something you have). An authenticated protected channel between sensor (or an endpoint containing a sensor that resists sensor replacement) and verifier SHALL be established and the sensor or endpoint SHALL be established and the sensor or endpoint SHALL be authenticated prior to capturing the biometric sample from the claimant. The biometric system SHALL operate with an FMR [ISO/IEC 2382-37] of 1 in 1000 or better. This FMR SHALL be achieved under conditions of a conformant attack (i.e., zero-effort impostor attempt) as defined in [ISO/IEC 30107-1]. The biometric system SHOULD implement PAD. Testing of the biometric system to be deployed SHOULD demonstrate at least 90% resistance to presentation attacks for each relevant attack type (i.e., species), where resistance is defined as the number of thwarted presentation attacks divided by the number of trial presentation attacks. Testing of presentation attack resistance SHALL be in accordance with Clause 12 of [ISO/IEC 30107-3]. The PAD decision MAY be made either locally on the claimant’s device or by a central verifier. Note: PAD is being considered as a mandatory requirement in future editions of this guideline. Disable the biometric user authentication and offer another factor (e.g., a different biometric modality or a PIN/Passcode if it is not already a required factor) if such an alternative method is already available. Authentication of the sensor or endpoint. Certification by an approved accreditation authority. Runtime interrogation of signed metadata (e.g., attestation) as described in Section 5.2.4. Biometric comparison can be performed locally on claimant’s device or at a central verifier. Since the potential for attacks on a larger scale is greater at central verifiers, local comparison is preferred. Use of the biometric as an authentication factor SHALL be limited to one or more specific devices that are identified using approved cryptography. Since the biometric has not yet unlocked the main authentication key, a separate key SHALL be used for identifying the device. Biometric revocation, referred to as biometric template protection in ISO/IEC 24745, SHALL be implemented. All transmission of biometrics SHALL be over the authenticated protected channel. Biometric samples collected in the authentication process MAY be used to train comparison algorithms or — with user consent — for other research purposes. Biometric samples and any biometric data derived from the biometric sample such as a probe produced through signal processing SHALL be zeroized immediately after any training or research data has been derived. Biometrics are also used in some cases to prevent repudiation of enrollment and to verify that the same individual participates in all phases of the enrollment process as described in SP 800-63A. 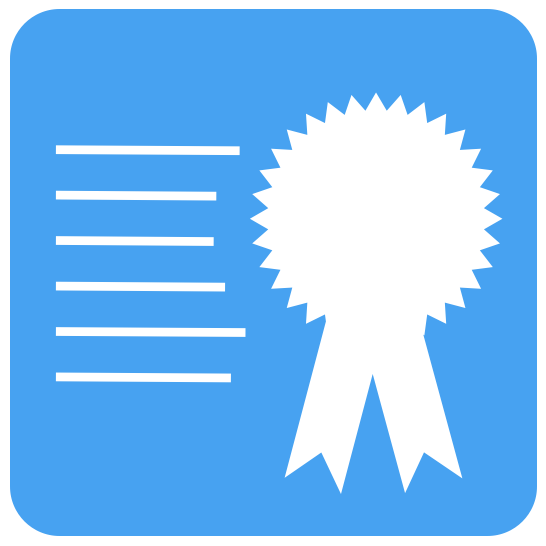 The provenance (e.g., manufacturer or supplier certification), health, and integrity of the authenticator and endpoint. Security features of the authenticator. Security and performance characteristics of biometric sensor(s). If this attestation is signed, it SHALL be signed using a digital signature that provides at least the minimum security strength specified in the latest revision of SP 800-131A (112 bits as of the date of this publication). 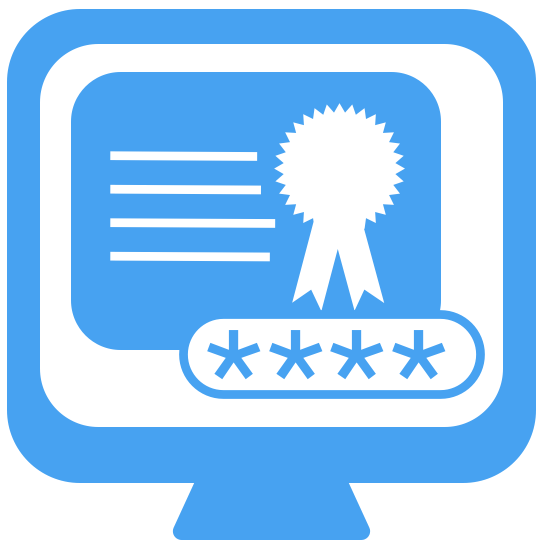 Attestation information MAY be used as part of a verifier’s risk-based authentication decision. A verifier impersonation-resistant authentication protocol SHALL establish an authenticated protected channel with the verifier. It SHALL then strongly and irreversibly bind a channel identifier that was negotiated in establishing the authenticated protected channel to the authenticator output (e.g., by signing the two values together using a private key controlled by the claimant for which the public key is known to the verifier). The verifier SHALL validate the signature or other information used to prove verifier impersonation resistance. This prevents an impostor verifier, even one that has obtained a certificate representing the actual verifier, from replaying that authentication on a different authenticated protected channel. Approved cryptographic algorithms SHALL be used to establish verifier impersonation resistance where it is required. Keys used for this purpose SHALL provide at least the minimum security strength specified in the latest revision of SP 800-131A (112 bits as of the date of this publication). One example of a verifier impersonation-resistant authentication protocol is client-authenticated TLS, because the client signs the authenticator output along with earlier messages from the protocol that are unique to the particular TLS connection being negotiated. Authenticators that involve the manual entry of an authenticator output, such as out-of-band and OTP authenticators, SHALL NOT be considered verifier impersonation-resistant because the manual entry does not bind the authenticator output to the specific session being authenticated. In a MitM attack, an impostor verifier could replay the OTP authenticator output to the verifier and successfully authenticate. In situations where the verifier and CSP are separate entities (as shown by the dotted line in SP 800-63-3 Figure 4-1), communications between the verifier and CSP SHALL occur through a mutually-authenticated secure channel (such as a client-authenticated TLS connection) using approved cryptography. Use of some types of authenticators requires that the verifier store a copy of the authenticator secret. For example, an OTP authenticator (described in Section 5.1.4) requires that the verifier independently generate the authenticator output for comparison against the value sent by the claimant. Because of the potential for the verifier to be compromised and stored secrets stolen, authentication protocols that do not require the verifier to persistently store secrets that could be used for authentication are considered stronger, and are described herein as being verifier compromise resistant. Note that such verifiers are not resistant to all attacks. A verifier could be compromised in a different way, such as being manipulated into always accepting a particular authenticator output. Use a cryptographic authenticator that requires the verifier store a public key corresponding to a private key held by the authenticator. Store the expected authenticator output in hashed form. This method can be used with some look-up secret authenticators (described in Section 5.1.2), for example. To be considered verifier compromise resistant, public keys stored by the verifier SHALL be associated with the use of approved cryptographic algorithms and SHALL provide at least the minimum security strength specified in the latest revision of SP 800-131A (112 bits as of the date of this publication). Other verifier compromise resistant secrets SHALL use approved hash algorithms and the underlying secrets SHALL have at least the minimum security strength specified in the latest revision of SP 800-131A (112 bits as of the date of this publication). Secrets (e.g., memorized secrets) having lower complexity SHALL NOT be considered verifier compromise resistant when hashed because of the potential to defeat the hashing process through dictionary lookup or exhaustive search. An authentication process resists replay attacks if it is impractical to achieve a successful authentication by recording and replaying a previous authentication message. Replay resistance is in addition to the replay-resistant nature of authenticated protected channel protocols, since the output could be stolen prior to entry into the protected channel. Protocols that use nonces or challenges to prove the “freshness” of the transaction are resistant to replay attacks since the verifier will easily detect when old protocol messages are replayed since they will not contain the appropriate nonces or timeliness data. Examples of replay-resistant authenticators are OTP devices, cryptographic authenticators, and look-up secrets. In contrast, memorized secrets are not considered replay resistant because the authenticator output — the secret itself — is provided for each authentication. An authentication process demonstrates intent if it requires the subject to explicitly respond to each authentication or reauthentication request. The goal of authentication intent is to make it more difficult for directly-connected physical authenticators (e.g., multi-factor cryptographic devices) to be used without the subject’s knowledge, such as by malware on the endpoint. Authentication intent SHALL be established by the authenticator itself, although multi-factor cryptographic devices MAY establish intent by reentry of the other authentication factor on the endpoint with which the authenticator is used. Authentication intent MAY be established in a number of ways. Authentication processes that require the subject’s intervention (e.g., a claimant entering an authenticator output from an OTP device) establish intent. Cryptographic devices that require user action (e.g., pushing a button or reinsertion) for each authentication or reauthentication operation are also establish intent. Depending on the modality, presentation of a biometric may or may not establish authentication intent. Presentation of a fingerprint would normally establish intent, while observation of the claimant’s face using a camera normally would not by itself. Behavioral biometrics similarly are less likely to establish authentication intent because they do not always require a specific action on the claimant’s part. As threats evolve, authenticators’ capability to resist attacks typically degrades. Conversely, some authenticators’ performance may improve — for example, when changes to their underlying standards increases their ability to resist particular attacks. To account for these changes in authenticator performance, NIST places additional restrictions on authenticator types or specific classes or instantiations of an authenticator type. Offer subscribers at least one alternate authenticator that is not RESTRICTED and can be used to authenticate at the required AAL. Provide meaningful notice to subscribers regarding the security risks of the RESTRICTED authenticator and availability of alternative(s) that are not RESTRICTED. Address any additional risk to subscribers in its risk assessment. Develop a migration plan for the possibility that the RESTRICTED authenticator is no longer acceptable at some point in the future and include this migration plan in its digital identity acceptance statement. A number of events can occur over the lifecycle of a subscriber’s authenticator that affect that authenticator’s use. These events include binding, loss, theft, unauthorized duplication, expiration, and revocation. This section describes the actions to be taken in response to those events. Authenticator binding refers to the establishment of an association between a specific authenticator and a subscriber’s account, enabling the authenticator to be used — possibly in conjunction with other authenticators — to authenticate for that account. Associating a subscriber-provided authenticator that is acceptable to the CSP. These guidelines refer to the binding rather than the issuance of an authenticator as to accommodate both options. Throughout the digital identity lifecycle, CSPs SHALL maintain a record of all authenticators that are or have been associated with each identity. The CSP or verifier SHALL maintain the information required for throttling authentication attempts when required, as described in Section 5.2.2. The CSP SHALL also verify the type of user-provided authenticator (e.g., single-factor cryptographic device vs. multi-factor cryptographic device) so verifiers can determine compliance with requirements at each AAL. The record created by the CSP SHALL contain the date and time the authenticator was bound to the account. The record SHOULD include information about the source of the binding (e.g., IP address, device identifier) of any device associated with the enrollment. If available, the record SHOULD also contain information about the source of unsuccessful authentications attempted with the authenticator. When any new authenticator is bound to a subscriber account, the CSP SHALL ensure that the binding protocol and the protocol for provisioning the associated key(s) are done at a level of security commensurate with the AAL at which the authenticator will be used. For example, protocols for key provisioning SHALL use authenticated protected channels or be performed in person to protect against man-in-the-middle attacks. Binding of multi-factor authenticators SHALL require multi-factor authentication or equivalent (e.g., association with the session in which identity proofing has been just completed) be used in order to bind the authenticator. The same conditions apply when a key pair is generated by the authenticator and the public key is sent to the CSP. The following requirements apply when an authenticator is bound to an identity as a result of a successful identity proofing transaction, as described in SP 800-63A. 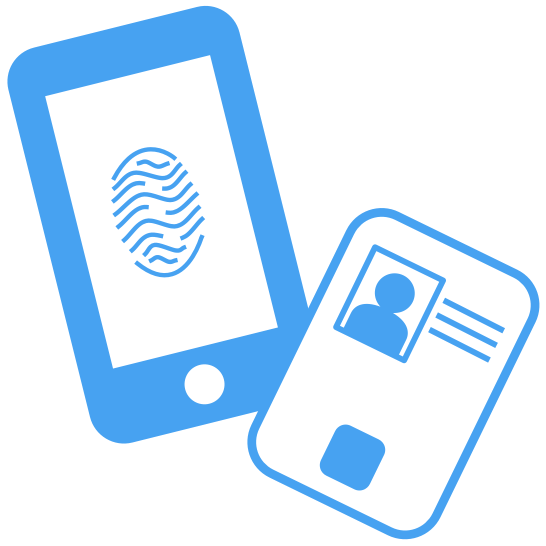 Since Executive Order 13681 [EO 13681] requires the use of multi-factor authentication for the release of any personal data, it is important that authenticators be bound to subscriber accounts at enrollment, enabling access to personal data, including that established by identity proofing. The CSP SHALL bind at least one, and SHOULD bind at least two, physical (something you have) authenticators to the subscriber’s online identity, in addition to a memorized secret or one or more biometrics. Binding of multiple authenticators is preferred in order to recover from the loss or theft of the subscriber’s primary authenticator. While all identifying information is self-asserted at IAL1, preservation of online material or an online reputation makes it undesirable to lose control of an account due to the loss of an authenticator. The second authenticator makes it possible to securely recover from an authenticator loss. For this reason, a CSP SHOULD bind at least two physical authenticators to the subscriber’s credential at IAL1 as well. At IAL2 and above, identifying information is associated with the digital identity and the subscriber has undergone an identity proofing process as described in SP 800-63A. As a result, authenticators at the same AAL as the desired IAL SHALL be bound to the account. For example, if the subscriber has successfully completed proofing at IAL2, then AAL2 or AAL3 authenticators are appropriate to bind to the IAL2 identity. While a CSP MAY bind an AAL1 authenticator to an IAL2 identity, if the subscriber is authenticated at AAL1, the CSP SHALL NOT expose personal information, even if self-asserted, to the subscriber. As stated in the previous paragraph, the availability of additional authenticators provides backup methods for authentication if an authenticator is damaged, lost, or stolen. The applicant SHALL identify themselves in each new binding transaction by presenting a temporary secret which was either established during a prior transaction, or sent to the applicant’s phone number, email address, or postal address of record. Long-term authenticator secrets SHALL only be issued to the applicant within a protected session. The applicant SHALL identify themselves in person by either using a secret as described in remote transaction (1) above, or through use of a biometric that was recorded during a prior encounter. Temporary secrets SHALL NOT be reused. If the CSP issues long-term authenticator secrets during a physical transaction, then they SHALL be loaded locally onto a physical device that is issued in person to the applicant or delivered in a manner that confirms the address of record. With the exception of memorized secrets, CSPs and verifiers SHOULD encourage subscribers to maintain at least two valid authenticators of each factor that they will be using. For example, a subscriber who usually uses an OTP device as a physical authenticator MAY also be issued a number of look-up secret authenticators, or register a device for out-of-band authentication, in case the physical authenticator is lost, stolen, or damaged. See Section 6.1.2.3 for more information on replacement of memorized secret authenticators. Accordingly, CSPs SHOULD permit the binding of additional authenticators to a subscriber’s account. Before adding the new authenticator, the CSP SHALL first require the subscriber to authenticate at the AAL (or a higher AAL) at which the new authenticator will be used. When an authenticator is added, the CSP SHOULD send a notification to the subscriber via a mechanism that is independent of the transaction binding the new authenticator (e.g., email to an address previously associated with the subscriber). The CSP MAY limit the number of authenticators that may be bound in this manner. If the subscriber’s account has only one authentication factor bound to it (i.e., at IAL1/AAL1) and an additional authenticator of a different authentication factor is to be added, the subscriber MAY request that the account be upgraded to AAL2. The IAL would remain at IAL1. Before binding the new authenticator, the CSP SHALL require the subscriber to authenticate at AAL1. The CSP SHOULD send a notification of the event to the subscriber via a mechanism independent of the transaction binding the new authenticator (e.g., email to an address previously associated with the subscriber). If a subscriber loses all authenticators of a factor necessary to complete multi-factor authentication and has been identity proofed at IAL2 or IAL3, that subscriber SHALL repeat the identity proofing process described in SP 800-63A. An abbreviated proofing process, confirming the binding of the claimant to previously-supplied evidence, MAY be used if the CSP has retained the evidence from the original proofing process pursuant to a privacy risk assessment as described in SP 800-63A Section 4.2. The CSP SHALL require the claimant to authenticate using an authenticator of the remaining factor, if any, to confirm binding to the existing identity. Reestablishment of authentication factors at IAL3 SHALL be done in person, or through a supervised remote process as described in SP 800-63A Section 5.3.3.2, and SHALL verify the biometric collected during the original proofing process. The CSP SHOULD send a notification of the event to the subscriber. This MAY be the same notice as is required as part of the proofing process. Replacement of a lost (i.e., forgotten) memorized secret is problematic because it is very common. Additional “backup” memorized secrets do not mitigate this because they are just as likely to also have been forgotten. If a biometric is bound to the account, the biometric and associated physical authenticator SHOULD be used to establish a new memorized secret. As an alternative to the above re-proofing process when there is no biometric bound to the account, the CSP MAY bind a new memorized secret with authentication using two physical authenticators, along with a confirmation code that has been sent to one of the subscriber’s addresses of record. The confirmation code SHALL consist of at least 6 random alphanumeric characters generated by an approved random bit generator [SP 800-90Ar1]. Those sent to a postal address of record SHALL be valid for a maximum of 7 days but MAY be made valid up to 21 days via an exception process to accommodate addresses outside the direct reach of the U.S. Postal Service. Confirmation codes sent by means other than physical mail SHALL be valid for a maximum of 10 minutes. A subscriber may already possess authenticators suitable for authentication at a particular AAL. For example, they may have a two-factor authenticator from a social network provider, considered AAL2 and IAL1, and would like to use those credentials at an RP that requires IAL2. CSPs SHOULD, where practical, accommodate the use of subscriber-provided authenticators in order to relieve the burden to the subscriber of managing a large number of authenticators. Binding of these authenticators SHALL be done as described in Section 6.1.2.1. In situations where the authenticator strength is not self-evident (e.g., between single-factor and multi-factor authenticators of a given type), the CSP SHOULD assume the use of the weaker authenticator unless it is able to establish that the stronger authenticator is in fact being used (e.g., by verification with the issuer or manufacturer of the authenticator). The CSP SHOULD bind an updated authenticator an appropriate amount of time before an existing authenticator’s expiration. The process for this SHOULD conform closely to the initial authenticator binding process (e.g., confirming address of record). Following successful use of the new authenticator, the CSP MAY revoke the authenticator that it is replacing. Compromised authenticators include those that have been lost, stolen, or subject to unauthorized duplication. Generally, one must assume that a lost authenticator has been stolen or compromised by someone that is not the legitimate subscriber of the authenticator. Damaged or malfunctioning authenticators are also considered compromised to guard against any possibility of extraction of the authenticator secret. One notable exception is a memorized secret that has been forgotten without other indications of having been compromised, such as having been obtained by an attacker. Suspension, revocation, or destruction of compromised authenticators SHOULD occur as promptly as practical following detection. Agencies SHOULD establish time limits for this process. To facilitate secure reporting of the loss, theft, or damage to an authenticator, the CSP SHOULD provide the subscriber with a method of authenticating to the CSP using a backup or alternate authenticator. This backup authenticator SHALL be either a memorized secret or a physical authenticator. Either MAY be used, but only one authentication factor is required to make this report. Alternatively, the subscriber MAY establish an authenticated protected channel to the CSP and verify information collected during the proofing process. The CSP MAY choose to verify an address of record (i.e., email, telephone, postal) and suspend authenticator(s) reported to have been compromised. The suspension SHALL be reversible if the subscriber successfully authenticates to the CSP using a valid (i.e., not suspended) authenticator and requests reactivation of an authenticator suspended in this manner. The CSP MAY set a time limit after which a suspended authenticator can no longer be reactivated. CSPs MAY issue authenticators that expire. If and when an authenticator expires, it SHALL NOT be usable for authentication. When an authentication is attempted using an expired authenticator, the CSP SHOULD give an indication to the subscriber that the authentication failure is due to expiration rather than some other cause. The CSP SHALL require subscribers to surrender or prove destruction of any physical authenticator containing attribute certificates signed by the CSP as soon as practical after expiration or receipt of a renewed authenticator. Revocation of an authenticator — sometimes referred to as termination, especially in the context of PIV authenticators — refers to removal of the binding between an authenticator and a credential the CSP maintains. CSPs SHALL revoke the binding of authenticators promptly when an online identity ceases to exist (e.g., subscriber’s death, discovery of a fraudulent subscriber), when requested by the subscriber, or when the CSP determines that the subscriber no longer meets its eligibility requirements. The CSP SHALL require subscribers to surrender or certify destruction of any physical authenticator containing certified attributes signed by the CSP as soon as practical after revocation or termination takes place. This is necessary to block the use of the authenticator’s certified attributes in offline situations between revocation/termination and expiration of the certification. Further requirements on the termination of PIV authenticators are found in FIPS 201. Once an authentication event has taken place, it is often desirable to allow the subscriber to continue using the application across multiple subsequent interactions without requiring them to repeat the authentication event. This requirement is particularly true for federation scenarios — described in SP 800-63C — where the authentication event necessarily involves several components and parties coordinating across a network. To facilitate this behavior, a session MAY be started in response to an authentication event, and continue the session until such time that it is terminated. The session MAY be terminated for any number of reasons, including but not limited to an inactivity timeout, an explicit logout event, or other means. The session MAY be continued through a reauthentication event — described in Section 7.2 — wherein the user repeats some or all of the initial authentication event, thereby re-establishing the session. Session management is preferable over continual presentation of credentials as the poor usability of continual presentation often creates incentives for workarounds such as cached unlocking credentials, negating the freshness of the authentication event. A session occurs between the software that a subscriber is running — such as a browser, application, or operating system (i.e., the session subject) — and the RP or CSP that the subscriber is accessing (i.e., the session host). A session secret SHALL be shared between the subscriber’s software and the service being accessed. This secret binds the two ends of the session, allowing the subscriber to continue using the service over time. The secret SHALL be presented directly by the subscriber’s software or possession of the secret SHALL be proven using a cryptographic mechanism. The secret used for session binding SHALL be generated by the session host in direct response to an authentication event. A session SHOULD inherit the AAL properties of the authentication event which triggered its creation. A session MAY be considered at a lower AAL than the authentication event but SHALL NOT be considered at a higher AAL than the authentication event. SHALL be generated by the session host during an interaction, typically immediately following authentication. SHALL be generated by an approved random bit generator [SP 800-90Ar1] and contain at least 64 bits of entropy. SHALL be erased or invalidated by the session subject when the subscriber logs out. SHOULD be erased on the subscriber endpoint when the user logs out or when the secret is deemed to have expired. SHOULD NOT be placed in insecure locations such as HTML5 Local Storage due to the potential exposure of local storage to cross-site scripting (XSS) attacks. SHALL be sent to and received from the device using an authenticated protected channel. SHALL time out and not be accepted after the times specified in Sections 4.1.4, 4.2.4, and 4.3.4, as appropriate for the AAL. SHALL NOT be available to insecure communications between the host and subscriber’s endpoint. Authenticated sessions SHALL NOT fall back to an insecure transport, such as from https to http, following authentication. URLs or POST content SHALL contain a session identifier that SHALL be verified by the RP to ensure that actions taken outside the session do not affect the protected session. There are several mechanisms for managing a session over time. The following sections give different examples along with additional requirements and considerations particular to each example technology. Additional informative guidance is available in the OWASP Session Management Cheat Sheet [OWASP-session]. Browser cookies are the predominant mechanism by which a session will be created and tracked for a subscriber accessing a service. SHALL be tagged to be accessible only on secure (HTTPS) sessions. SHALL be accessible to the minimum practical set of hostnames and paths. SHOULD be tagged to expire at, or soon after, the session’s validity period. This requirement is intended to limit the accumulation of cookies, but SHALL NOT be depended upon to enforce session timeouts. An access token — such as found in OAuth — is used to allow an application to access a set of services on a subscriber’s behalf following an authentication event. The presence of an OAuth access token SHALL NOT be interpreted by the RP as presence of the subscriber, in the absence of other signals. The OAuth access token, and any associated refresh tokens, MAY be valid long after the authentication session has ended and the subscriber has left the application. Other methods of secure device identification — including but not limited to mutual TLS, token binding, or other mechanisms — MAY be used to enact a session between a subscriber and a service. An instance of a mobile application that retains a session secret. Session secrets SHALL be non-persistent. That is, they SHALL NOT be retained across a restart of the associated application or a reboot of the host device. Periodic reauthentication of sessions SHALL be performed to confirm the continued presence of the subscriber at an authenticated session (i.e., that the subscriber has not walked away without logging out). A session SHALL NOT be extended past the guidelines in Sections 4.1.3, 4.2.3, and 4.3.3 (depending on AAL) based on presentation of the session secret alone. Prior to session expiration, the reauthentication time limit SHALL be extended by prompting the subscriber for the authentication factor(s) specified in Table 7-1. When a session has been terminated, due to a time-out or other action, the user SHALL be required to establish a new session by authenticating again. Note: At AAL2, a memorized secret or biometric, and not a physical authenticator, is required because the session secret is something you have, and an additional authentication factor is required to continue the session. When using a federation protocol as described in SP 800-63C, Section 5 to connect the CSP and RP, special considerations apply to session management and reauthentication. The federation protocol communicates an authentication event between the CSP and the RP but establishes no session between them. Since the CSP and RP often employ separate session management technologies, there SHALL NOT be any assumption of correlation between these sessions. Consequently, when an RP session expires and the RP requires reauthentication, it is entirely possible that the session at the CSP has not expired and that a new assertion could be generated from this session at the CSP without reauthenticating the user. An RP requiring reauthentication through a federation protocol SHALL — if possible within the protocol — specify the maximum acceptable authentication age to the CSP, and the CSP SHALL reauthenticate the subscriber if they have not been authenticated within that time period. The CSP SHALL communicate the authentication event time to the RP to allow the RP to decide if the assertion is sufficient for reauthentication and to determine the time for the next reauthentication event. Something you know may be disclosed to an attacker. The attacker might guess a memorized secret. Where the authenticator is a shared secret, the attacker could gain access to the CSP or verifier and obtain the secret value or perform a dictionary attack on a hash of that value. An attacker may observe the entry of a PIN or passcode, find a written record or journal entry of a PIN or passcode, or may install malicious software (e.g., a keyboard logger) to capture the secret. Additionally, an attacker may determine the secret through offline attacks on a password database maintained by the verifier. Something you have may be lost, damaged, stolen from the owner, or cloned by an attacker. For example, an attacker who gains access to the owner’s computer might copy a software authenticator. A hardware authenticator might be stolen, tampered with, or duplicated. Out-of-band secrets may be intercepted by an attacker and used to authenticate their own session. Something you are may be replicated. For example, an attacker may obtain a copy of the subscriber’s fingerprint and construct a replica. This document assumes that the subscriber is not colluding with an attacker who is attempting to falsely authenticate to the verifier. With this assumption in mind, the threats to the authenticator(s) used for digital authentication are listed in Table 8-1, along with some examples. Theft A physical authenticator is stolen by an Attacker. A hardware cryptographic device is stolen. An OTP device is stolen. A look-up secret authenticator is stolen. A cell phone is stolen. Duplication The subscriber’s authenticator has been copied with or without their knowledge. Passwords written on paper are disclosed. Passwords stored in an electronic file are copied. Software PKI authenticator (private key) copied. Eavesdropping The authenticator secret or authenticator output is revealed to the attacker as the subscriber is authenticating. Memorized secrets are obtained by watching keyboard entry. Memorized secrets or authenticator outputs are intercepted by keystroke logging software. A PIN is captured from a PIN pad device. A hashed password is obtained and used by an attacker for another authentication (pass-the-hash attack). An out-of-band secret is intercepted by the attacker by compromising the communication channel. An out-of-band secret is transmitted via unencrypted Wi-Fi and received by the attacker. Offline Cracking The authenticator is exposed using analytical methods outside the authentication mechanism. A software PKI authenticator is subjected to dictionary attack to identify the correct password to use to decrypt the private key. Side Channel Attack The authenticator secret is exposed using physical characteristics of the authenticator. A key is extracted by differential power analysis on a hardware cryptographic authenticator. A cryptographic authenticator secret is extracted by analysis of the response time of the authenticator over a number of attempts. Phishing or Pharming The authenticator output is captured by fooling the subscriber into thinking the attacker is a verifier or RP. A password is revealed by subscriber to a website impersonating the verifier. A memorized secret is revealed by a bank subscriber in response to an email inquiry from a phisher pretending to represent the bank. A memorized secret is revealed by the subscriber at a bogus verifier website reached through DNS spoofing. Social Engineering The attacker establishes a level of trust with a subscriber in order to convince the subscriber to reveal their authenticator secret or authenticator output. A memorized secret is revealed by the subscriber to an officemate asking for the password on behalf of the subscriber’s boss. A memorized secret is revealed by a subscriber in a telephone inquiry from an attacker masquerading as a system administrator. An out of band secret sent via SMS is received by an attacker who has convinced the mobile operator to redirect the victim’s mobile phone to the attacker. Online Guessing The attacker connects to the verifier online and attempts to guess a valid authenticator output in the context of that verifier. Online dictionary attacks are used to guess memorized secrets. Online guessing is used to guess authenticator outputs for an OTP device registered to a legitimate claimant. Endpoint Compromise Malicious code on the endpoint proxies remote access to a connected authenticator without the subscriber’s consent. A cryptographic authenticator connected to the endpoint is used to authenticate remote attackers. Malicious code on the endpoint causes authentication to other than the intended verifier. Authentication is performed on behalf of an attacker rather than the subscriber. A malicious app on the endpoint reads an out-of-band secret sent via SMS and the attacker uses the secret to authenticate. Malicious code on the endpoint compromises a multi-factor software cryptographic authenticator. Malicious code proxies authentication or exports authenticator keys from the endpoint. Unauthorized Binding An attacker is able to cause an authenticator under their control to be bound to a subscriber’s account. An attacker intercepts an authenticator or provisioning key en route to the subscriber. Related mechanisms that assist in mitigating the threats identified above are summarized in Table 8-2. Multiple factors make successful attacks more difficult to accomplish. If an attacker needs to both steal a cryptographic authenticator and guess a memorized secret, then the work to discover both factors may be too high. Physical security mechanisms may be employed to protect a stolen authenticator from duplication. Physical security mechanisms can provide tamper evidence, detection, and response. Requiring the use of long memorized secrets that don’t appear in common dictionaries may force attackers to try every possible value. System and network security controls may be employed to prevent an attacker from gaining access to a system or installing malicious software. Periodic training may be performed to ensure subscribers understand when and how to report compromise — or suspicion of compromise — or otherwise recognize patterns of behavior that may signify an attacker attempting to compromise the authentication process. Out of band techniques may be employed to verify proof of possession of registered devices (e.g., cell phones). The weak point in many authentication mechanisms is the process followed when a subscriber loses control of one or more authenticators and needs to replace them. In many cases, the options remaining available to authenticate the subscriber are limited, and economic concerns (e.g., cost of maintaining call centers) motivate the use of inexpensive, and often less secure, backup authentication methods. To the extent that authenticator recovery is human-assisted, there is also the risk of social engineering attacks. To maintain the integrity of the authentication factors, it is essential that it not be possible to leverage an authentication involving one factor to obtain an authenticator of a different factor. For example, a memorized secret must not be usable to obtain a new list of look-up secrets. The above discussion focuses on threats to the authentication event itself, but hijacking attacks on the session following an authentication event can have similar security impacts. The session management guidelines in Section 7 are essential to maintain session integrity against attacks, such as XSS. In addition, it is important to sanitize all information to be displayed [OWASP-XSS-prevention] to ensure that it does not contain executable content. These guidelines also recommend that session secrets be made inaccessible to mobile code in order to provide extra protection against exfiltration of session secrets. Another post-authentication threat, cross-site request forgery (CSRF), takes advantage of users’ tendency to have multiple sessions active at the same time. It is important to embed and verify a session identifier into web requests to prevent the ability for a valid URL or request to be unintentionally or maliciously activated. These privacy considerations supplement the guidance in Section 4. This section is informative. The likelihood that the records retention could create a problem for the subscriber, such as invasiveness or unauthorized access to the information. The impact if such a problem did occur. CSPs should be able to reasonably justify any response they take to identified privacy risks, including accepting the risk, mitigating the risk, and sharing the risk. The use of subscriber consent is a form of sharing the risk, and therefore appropriate for use only when a subscriber could reasonably be expected to have the capacity to assess and accept the shared risk. Section 4.4 requires CSPs to employ appropriately-tailored privacy controls. SP 800-53 provides a set of privacy controls for CSPs to consider when deploying authentication mechanisms. These controls cover notices, redress, and other important considerations for successful and trustworthy deployments. Section 4.4 requires CSPs to use measures to maintain the objectives of predictability (enabling reliable assumptions by individuals, owners, and operators about PII and its processing by an information system) and manageability (providing the capability for granular administration of PII, including alteration, deletion, and selective disclosure) commensurate with privacy risks that can arise from the processing of attributes for purposes other than identity proofing, authentication, authorization, or attribute assertion, related fraud mitigation, or to comply with law or legal process NISTIR8062. CSPs may have various business purposes for processing attributes, including providing non-identity services to subscribers. However, processing attributes for other purposes than those specified at collection can create privacy risks when individuals are not expecting or comfortable with the additional processing. CSPs can determine appropriate measures commensurate with the privacy risk arising from the additional processing. For example, absent applicable law, regulation or policy, it may not be necessary to get consent when processing attributes to provide non-identity services requested by subscribers, although notices may help subscribers maintain reliable assumptions about the processing (predictability). Other processing of attributes may carry different privacy risks that call for obtaining consent or allowing subscribers more control over the use or disclosure of specific attributes (manageability). Subscriber consent needs to be meaningful; therefore, as stated in Section 4.4, when CSPs use consent measures, acceptance by the subscriber of additional uses SHALL NOT be a condition of providing authentication services. Consult your SAOP if there are questions about whether the proposed processing falls outside the scope of the permitted processing or the appropriate privacy risk mitigation measures. Section 4.4 covers specific compliance obligations for federal CSPs. It is critical to involve your agency’s SAOP in the earliest stages of digital authentication system development in order to assess and mitigate privacy risks and advise the agency on compliance requirements, such as whether or not the collection of PII to issue or maintain authenticators triggers the Privacy Act of 1974 Privacy Act or the E-Government Act of 2002 E-Gov requirement to conduct a PIA. For example, with respect to centralized maintenance of biometrics, it is likely that the Privacy Act requirements will be triggered and require coverage by either a new or existing Privacy Act system of records due to the collection and maintenance of PII and any other attributes necessary for authentication. The SAOP can similarly assist the agency in determining whether a PIA is required. These considerations should not be read as a requirement to develop a Privacy Act SORN or PIA for authentication alone. In many cases it will make the most sense to draft a PIA and SORN that encompasses the entire digital authentication process or include the digital authentication process as part of a larger programmatic PIA that discusses the service or benefit to which the agency is establishing online. Due to the many components of digital authentication, it is important for the SAOP to have an awareness and understanding of each individual component. For example, other privacy artifacts may be applicable to an agency offering or using federated CSP or RP services (e.g., Data Use Agreements, Computer Matching Agreements). The SAOP can assist the agency in determining what additional requirements apply. Moreover, a thorough understanding of the individual components of digital authentication will enable the SAOP to thoroughly assess and mitigate privacy risks either through compliance processes or by other means. ISO/IEC 9241-11 defines usability as the “extent to which a product can be used by specified users to achieve specified goals with effectiveness, efficiency and satisfaction in a specified context of use.” This definition focuses on users, their goals, and the context of use as key elements necessary for achieving effectiveness, efficiency, and satisfaction. A holistic approach that accounts for these key elements is necessary to achieve usability. A user’s goal for accessing an information system is to perform an intended task. Authentication is the function that enables this goal. However, from the user’s perspective, authentication stands between them and their intended task. Effective design and implementation of authentication makes it easy to do the right thing, hard to do the wrong thing, and easy to recover when the wrong thing happens. Organizations need to be cognizant of the overall implications of their stakeholders’ entire digital authentication ecosystem. Users often employ one or more authenticator, each for a different RP. They then struggle to remember passwords, to recall which authenticator goes with which RP, and to carry multiple physical authentication devices. Evaluating the usability of authentication is critical, as poor usability often results in coping mechanisms and unintended work-arounds that can ultimately degrade the effectiveness of security controls. Integrating usability into the development process can lead to authentication solutions that are secure and usable while still addressing users’ authentication needs and organizations’ business goals. The impact of usability across digital systems needs to be considered as part of the risk assessment when deciding on the appropriate AAL. Authenticators with a higher AAL sometimes offer better usability and should be allowed for use for lower AAL applications. Leveraging federation for authentication can alleviate many of the usability issues, though such an approach has its own tradeoffs, as discussed in SP 800-63C. This section provides general usability considerations and possible implementations, but does not recommend specific solutions. The implementations mentioned are examples to encourage innovative technological approaches to address specific usability needs. Further, usability considerations and their implementations are sensitive to many factors that prevent a one-size-fits-all solution. For example, a font size that works in the desktop computing environment may force text to scroll off of a small OTP device screen. Performing a usability evaluation on the selected authenticator is a critical component of implementation. It is important to conduct evaluations with representative users, realistic goals and tasks, and appropriate contexts of use. Guidelines and considerations are described from the users’ perspective. Accessibility differs from usability and is out of scope for this document. Section 508 was enacted to eliminate barriers in information technology and require federal agencies to make their online public content accessible to people with disabilities. Refer to Section 508 law and standards for accessibility guidance. When selecting and implementing an authentication system, consider usability across the entire lifecycle of the selected authenticators (e.g., typical use and intermittent events), while being mindful of the combination of users, their goals, and context of use. A single authenticator type usually does not suffice for the entire user population. Therefore, whenever possible — based on AAL requirements — CSPs should support alternative authenticator types and allow users to choose based on their needs. Task immediacy, perceived cost benefit tradeoffs, and unfamiliarity with certain authenticators often impact choice. Users tend to choose options that incur the least burden or cost at that moment. For example, if a task requires immediate access to an information system, a user may prefer to create a new account and password rather than select an authenticator requiring more steps. Alternatively, users may choose a federated identity option — approved at the appropriate AAL — if they already have an account with an identity provider. Users may understand some authenticators better than others, and have different levels of trust based on their understanding and experience. Positive user authentication experiences are integral to the success of an organization achieving desired business outcomes. Therefore, they should strive to consider authenticators from the users’ perspective. The overarching authentication usability goal is to minimize user burden and authentication friction (e.g., the number of times a user has to authenticate, the steps involved, and the amount of information he or she has to track). Single sign-on exemplifies one such minimization strategy. Usability considerations applicable to most authenticators are described below. Subsequent sections describe usability considerations specific to a particular authenticator. Provide information on the use and maintenance of the authenticator, e.g., what to do if the authenticator is lost or stolen, and instructions for use — especially if there are different requirements for first-time use or initialization. Authenticator availability should also be considered as users will need to remember to have their authenticator readily available. Consider the need for alternate authentication options to protect against loss, damage, or other negative impacts to the original authenticator. Whenever possible, based on AAL requirements, users should be provided with alternate authentication options. This allows users to choose an authenticator based on their context, goals, and tasks (e.g., the frequency and immediacy of the task). Alternate authentication options also help address availability issues that may occur with a particular authenticator. Write user-facing text (e.g., instructions, prompts, notifications, error messages) in plain language for the intended audience. Avoid technical jargon and, typically, write for a 6th to 8th grade literacy level. High contrast. The highest contrast is black on white. Sans serif fonts for electronic displays. Serif fonts for printed materials. Fonts that clearly distinguish between easily confusable characters (e.g., the capital letter “O” and the number “0”). A minimum font size of 12 points as long as the text fits for display on the device. Offer the option to display text during entry, as masked text entry is error-prone. Once a given character is displayed long enough for the user to see, it can be hidden. Consider the device when determining masking delay time, as it takes longer to enter memorized secrets on mobile devices (e.g., tablets and smartphones) than on traditional desktop computers. Ensure masking delay durations are consistent with user needs. Ensure the time allowed for text entry is adequate (i.e., the entry screen does not time out prematurely). Ensure allowed text entry times are consistent with user needs. Provide clear, meaningful and actionable feedback on entry errors to reduce user confusion and frustration. Significant usability implications arise when users do not know they have entered text incorrectly. Allow at least 10 entry attempts for authenticators requiring the entry of the authenticator output by the user. The longer and more complex the entry text, the greater the likelihood of user entry errors. Provide clear, meaningful feedback on the number of remaining allowed attempts. For rate limiting (i.e., throttling), inform users how long they have to wait until the next attempt to reduce confusion and frustration. Larger touch areas improve usability for text entry since typing on small devices is significantly more error prone and time consuming than typing on a full-size keyboard. The smaller the onscreen keyboard, the more difficult it is to type, due to the size of the input mechanism (e.g., a finger) relative to the size of the on-screen target. Follow good user interface and information design for small displays. Intermittent events include events such as reauthentication, account lock-out, expiration, revocation, damage, loss, theft, and non-functional software. To prevent users from needing to reauthenticate due to user inactivity, prompt users in order to trigger activity just before (e.g., 2 minutes) an inactivity timeout would otherwise occur. Prompt users with adequate time (e.g., 1 hour) to save their work before the fixed periodic reauthentication event required regardless of user activity. Clearly communicate how and where to acquire technical assistance. For example, provide users with information such as a link to an online self-service feature, chat sessions or a phone number for help desk support. Ideally, sufficient information can be provided to enable users to recover from intermittent events on their own without outside intervention. In addition to the previously described general usability considerations applicable to most authenticators (Section 10.1), the following sections describe other usability considerations specific to particular authenticator types. 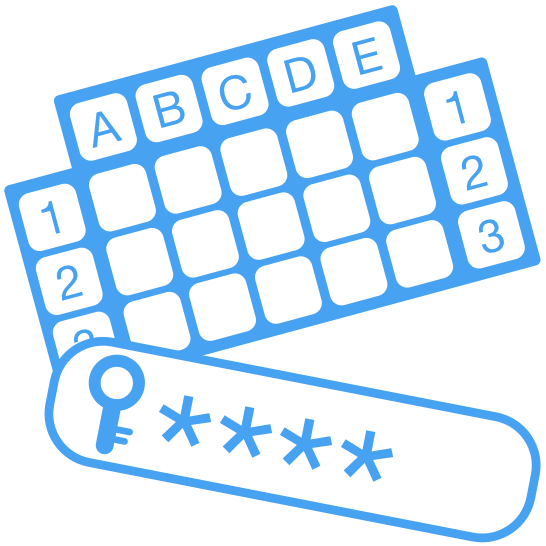 Users manually input the memorized secret (commonly referred to as a password or PIN). Memorability of the memorized secret. The likelihood of recall failure increases as there are more items for users to remember. With fewer memorized secrets, users can more easily recall the specific memorized secret needed for a particular RP. The memory burden is greater for a less frequently used password. User experience during entry of the memorized secret. Support copy and paste functionality in fields for entering memorized secrets, including passphrases. Clearly communicate information on how to create and change memorized secrets. Clearly communicate memorized secret requirements, as specified in Section 5.1.1. Allow at least 64 characters in length to support the use of passphrases. Encourage users to make memorized secrets as lengthy as they want, using any characters they like (including spaces), thus aiding memorization. Do not impose other composition rules (e.g. mixtures of different character types) on memorized secrets. Do not require that memorized secrets be changed arbitrarily (e.g., periodically) unless there is a user request or evidence of authenticator compromise. (See Section 5.1.1 for additional information). 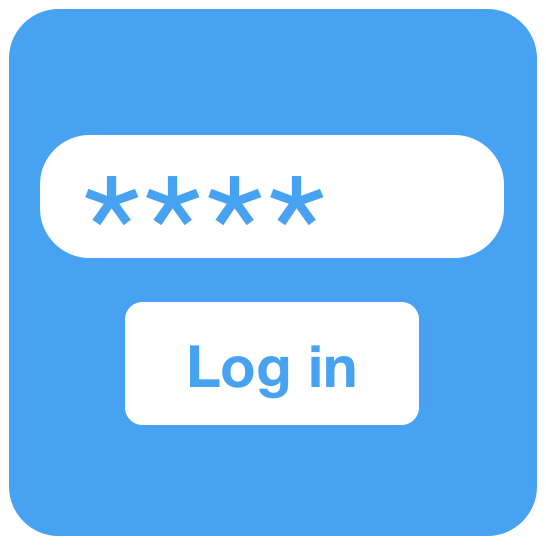 Provide clear, meaningful and actionable feedback when chosen passwords are rejected (e.g., when it appears on a “black list” of unacceptable passwords or has been used previously). Users use the authenticator — printed or electronic — to look up the appropriate secret(s) needed to respond to a verifier’s prompt. For example, a user may be asked to provide a specific subset of the numeric or character strings printed on a card in table format. User experience during entry of look-up secrets. Consider the prompts’ complexity and size. The larger the subset of secrets a user is prompted to look up, the greater the usability implications. Both the cognitive workload and physical difficulty for entry should be taken into account when selecting the quantity and complexity of look-up secrets for authentication. Out-of-band authentication requires users have access to a primary and secondary communication channel. Notify users of the receipt of a secret on a locked device. However, if the out of band device is locked, authentication to the device should be required to access the secret. Depending on the implementation, consider form-factor constraints as they are particularly problematic when users must enter text on mobile devices. Providing larger touch areas will improve usability for entering secrets on mobile devices. A better usability option is to offer features that do not require text entry on mobile devices (e.g., a single tap on the screen, or a copy feature so users can copy and paste out-of-band secrets). Providing users such features is particularly helpful when the primary and secondary channels are on the same device. For example, it is difficult for users to transfer the authentication secret on a smartphone because they must switch back and forth—potentially multiple times—between the out of band application and the primary channel. Users access the OTP generated by the single-factor OTP device. 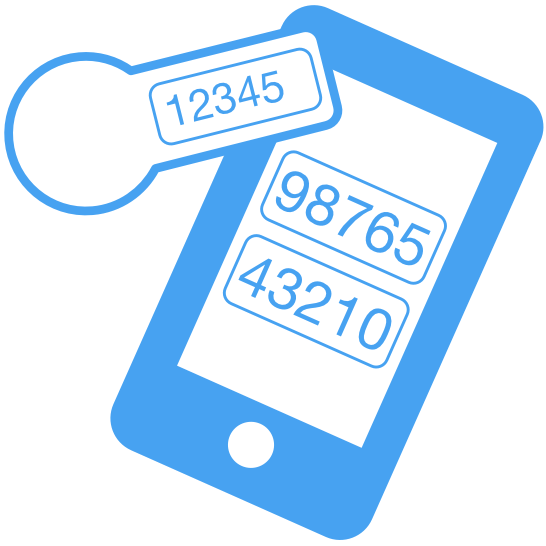 The authenticator output is typically displayed on the device and the user enters it for the verifier. Authenticator output allows at least one minute between changes, but ideally allows users the full two minutes as specified in Section 5.1.4.1. Users need adequate time to enter the authenticator output (including looking back and forth between the single-factor OTP device and the entry screen). If the single-factor OTP device supplies its output via an electronic interface (e.g, USB) this is preferable since users do not have to manually enter the authenticator output. However, if a physical input (e.g., pressing a button) is required to operate, the location of the USB ports could pose usability difficulties. For example, the USB ports of some computers are located on the back of the computer and will be difficult for users to reach. Limited availability of a direct computer interface such as a USB port could pose usability difficulties. For example, the number of USB ports on laptop computers is often very limited. This may force users to unplug other USB peripherals in order to use the single-factor OTP device. Users access the OTP generated by the multi-factor OTP device through a second authentication factor. The OTP is typically displayed on the device and the user manually enters it for the verifier. The second authentication factor may be achieved through some kind of integral entry pad to enter a memorized secret, an integral biometric (e.g., fingerprint) reader, or a direct computer interface (e.g., USB port). Usability considerations for the additional factor apply as well — see Section 10.2.1 for memorized secrets and Section 10.4 for biometrics used in multi-factor authenticators. User experience during manual entry of the authenticator output. For time-based OTP, provide a grace period in addition to the time during which the OTP is displayed. Users need adequate time to enter the authenticator output, including looking back and forth between the multi-factor OTP device and the entry screen. Consider form-factor constraints if users must unlock the multi-factor OTP device via an integral entry pad or enter the authenticator output on mobile devices. Typing on small devices is significantly more error prone and time-consuming than typing on a traditional keyboard. The smaller the integral entry pad and onscreen keyboard, the more difficult it is to type. Providing larger touch areas improves usability for unlocking the multi-factor OTP device or entering the authenticator output on mobile devices. Limited availability of a direct computer interface like a USB port could pose usability difficulties. For example, laptop computers often have a limited number of USB ports, which may force users to unplug other USB peripherals to use the multi-factor OTP device. Users authenticate by proving possession and control of the cryptographic software key. Give cryptographic keys appropriately descriptive names that are meaningful to users since users have to recognize and recall which cryptographic key to use for which authentication task. This prevents users from having to deal with multiple similarly- and ambiguously-named cryptographic keys. Selecting from multiple cryptographic keys on smaller mobile devices may be particularly problematic if the names of the cryptographic keys are shortened due to reduced screen size. Users authenticate by proving possession of the single-factor cryptographic device. Requiring a physical input (e.g., pressing a button) to operate the single-factor cryptographic device could pose usability difficulties. For example, some USB ports are located on the back of computers, making it difficult for users to reach. Limited availability of a direct computer interface like a USB port could pose usability difficulties. For example, laptop computers often have a limited number of USB ports, which may force users to unplug other USB peripherals to use the single-factor cryptographic device. In order to authenticate, users prove possession and control of the cryptographic key stored on disk or some other “soft” media that requires activation. The activation is through the input of a second authentication factor, either a memorized secret or a biometric. Usability considerations for the additional factor apply as well — see Section 10.2.1 for memorized secrets and Section 10.4 for biometrics used in multi-factor authenticators. Users authenticate by proving possession of the multi-factor cryptographic device and control of the protected cryptographic key. The device is activated by a second authentication factor, either a memorized secret or a biometric. Usability considerations for the additional factor apply as well — see Section 10.2.1 for memorized secrets and Section 10.4 for biometrics used in multi-factor authenticators. Do not require users to keep multi-factor cryptographic devices connected following authentication. Users may forget to disconnect the multi-factor cryptographic device when they are done with it (e.g., forgetting a smartcard in the smartcard reader and walking away from the computer). Users need to be informed regarding whether the multi-factor cryptographic device is required to stay connected or not. Give cryptographic keys appropriately descriptive names that are meaningful to users since users have to recognize and recall which cryptographic key to use for which authentication task. This prevents users being faced with multiple similarly and ambiguously named cryptographic keys. Selecting from multiple cryptographic keys on smaller mobile devices (such as smartphones) may be particularly problematic if the names of the cryptographic keys are shortened due to reduced screen size. Limited availability of a direct computer interface like a USB port could pose usability difficulties. For example, laptop computers often have a limited number of USB ports, which may force users to unplug other USB peripherals to use the multi-factor cryptographic device. 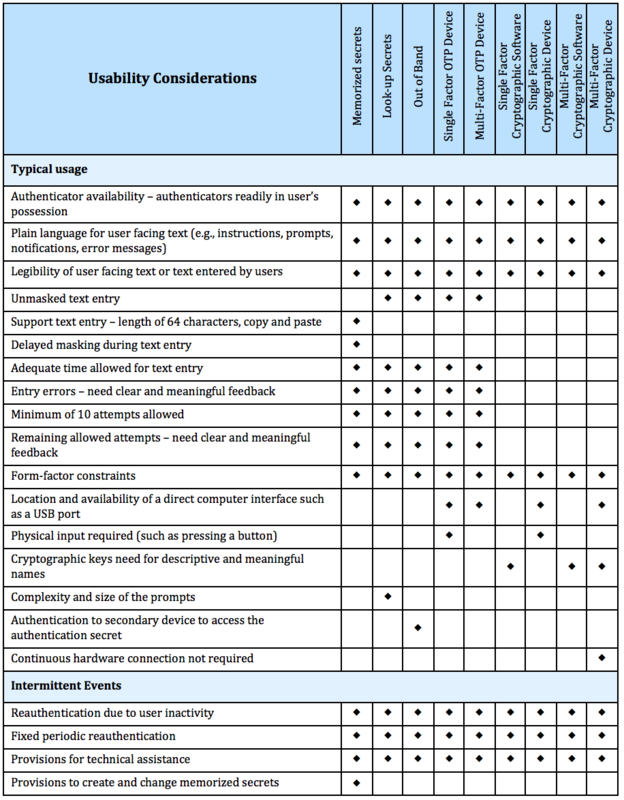 Table 10-1 summarizes the usability considerations for typical usage and intermittent events for each authenticator type. Many of the usability considerations for typical usage apply to most of the authenticator types, as demonstrated in the rows. The table highlights common and divergent usability characteristics across the authenticator types. Each column allows readers to easily identify the usability attributes to address for each authenticator. Depending on users’ goals and context of use, certain attributes may be valued over others. Whenever possible, provide alternative authenticator types and allow users to choose between them. Multi-factor authenticators (e.g., multi-factor OTP devices, multi-factor cryptographic software, and multi-factor cryptographic devices) also inherit their secondary factor’s usability considerations. As biometrics are only allowed as an activation factor in multi-factor authentication solutions, usability considerations for biometrics are not included in Table 10-1 and are discussed in Section 10.4. This section provides a high-level overview of general usability considerations for biometrics. A more detailed discussion of biometric usability can be found in Usability & Biometrics, Ensuring Successful Biometric Systems NIST Usability. Although there are other biometric modalities, the following three biometric modalities are more commonly used for authentication: fingerprint, face and iris. For all modalities, user familiarity and practice with the device improves performance. Device affordances (i.e., properties of a device that allow a user to perform an action), feedback, and clear instructions are critical to a user’s success with the biometric device. For example, provide clear instructions on the required actions for liveness detection. Ideally, users can select the modality they are most comfortable with for their second authentication factor. The user population may be more comfortable and familiar with — and accepting of — some biometric modalities than others. User experience with biometrics as an activation factor. Provide clear, meaningful feedback on the number of remaining allowed attempts. For example, for rate limiting (i.e., throttling), inform users of the time period they have to wait until next attempt to reduce user confusion and frustration. Users have to remember which finger(s) they used for initial enrollment. The amount of moisture on the finger(s) affects the sensor’s ability for successful capture. Additional factors influencing fingerprint capture quality include age, gender, and occupation (e.g., users handling chemicals or working extensively with their hands may have degraded friction ridges). Users have to remember whether they wore any artifacts (e.g., glasses) during enrollment because it affects facial recognition accuracy. Differences in environmental lighting conditions can affect facial recognition accuracy. Facial expressions affect facial recognition accuracy (e.g., smiling versus neutral expression). Facial poses affect facial recognition accuracy (e.g., looking down or away from the camera). Wearing colored contacts may affect the iris recognition accuracy. Users who have had eye surgery may need to re-enroll post-surgery. Differences in environmental lighting conditions can affect iris recognition accuracy, especially for certain iris colors. If users injure their enrolled finger(s), fingerprint recognition may not work. Fingerprint authentication will be difficult for users with degraded fingerprints. The time elapsed between the time of facial recognition for authentication and the time of the initial enrollment can affect recognition accuracy as a user’s face changes naturally over time. A user’s weight change may also be a factor. Iris recognition may not work for people who had eye surgery, unless they re-enroll. An alternative authentication method must be available and functioning. In cases where biometrics do not work, allow users to use a memorized secret as an alternative second factor. Clearly communicate information on how and where to acquire technical assistance. For example, provide users information such as a link to an online self-service feature and a phone number for help desk support. Ideally, provide sufficient information to enable users to recover from intermittent events on their own without outside intervention. Inform users of factors that may affect the sensitivity of the biometric sensor (e.g., cleanliness of the sensor). [BALLOON] Boneh, Dan, Corrigan-Gibbs, Henry, and Stuart Schechter. “Balloon Hashing: A Memory-Hard Function Providing Provable Protection Against Sequential Attacks,” Asiacrypt 2016, October, 2016. Available at: https://eprint.iacr.org/2016/027. [Composition] Komanduri, Saranga, Richard Shay, Patrick Gage Kelley, Michelle L Mazurek, Lujo Bauer, Nicolas Christin, Lorrie Faith Cranor, and Serge Egelman. “Of Passwords and People: Measuring the Effect of Password-Composition Policies.” In Proceedings of the SIGCHI Conference on Human Factors in Computing Systems, 2595–2604. ACM, 2011. Available at: https://www.ece.cmu.edu/~lbauer/papers/2011/chi2011-passwords.pdf. [E-Gov] E-Government Act [includes FISMA] (P.L. 107-347), December 2002, available at: http://www.gpo.gov/fdsys/pkg/PLAW-107publ347/pdf/PLAW-107publ347.pdf. [FEDRAMP] General Services Administration, Federal Risk and Authorization Management Program, available at: https://www.fedramp.gov/. [ICAM] National Security Systems and Identity, Credential and Access Management Sub-Committee Focus Group, Federal CIO Council, ICAM Lexicon, Version 0.5, March 2011. [NIST Usability] National Institute and Standards and Technology, Usability & Biometrics, Ensuring Successful Biometric Systems, June 11, 2008, available at: http://www.nist.gov/customcf/get_pdf.cfm?pub_id=152184. [OWASP-session] Open Web Application Security Project, Session Management Cheat Sheet, available at: https://www.owasp.org/index.php/Session_Management_Cheat_Sheet. [OWASP-XSS-prevention] Open Web Application Security Project, XSS (Cross Site Scripting) Prevention Cheat Sheet, available at: https://www.owasp.org/index.php/XSS_(Cross_Site_Scripting)_Prevention_Cheat_Sheet. [Persistence] herley, cormac, and Paul van Oorschot. “A Research Agenda Acknowledging the Persistence of Passwords,” IEEE Security&Privacy Magazine, 2012. Available at: http://research.microsoft.com/apps/pubs/default.aspx?id=154077. [Privacy Act] Privacy Act of 1974 (P.L. 93-579), December 1974, available at: https://www.justice.gov/opcl/privacy-act-1974. [Policies] Weir, Matt, Sudhir Aggarwal, Michael Collins, and Henry Stern. “Testing Metrics for Password Creation Policies by Attacking Large Sets of Revealed Passwords.” In Proceedings of the 17th ACM Conference on Computer and Communications Security, 162–175. CCS ’10. New York, NY, USA: ACM, 2010. doi:10.1145/1866307.1866327. [Section 508] Section 508 Law and Related Laws and Policies (January 30, 2017), available at: https://www.section508.gov/content/learn/laws-and-policies. [Shannon] Shannon, Claude E. “A Mathematical Theory of Communication,” Bell System Technical Journal, v. 27, pp. 379-423, 623-656, July, October, 1948. [Strength] Kelley, Patrick Gage, Saranga Komanduri, Michelle L Mazurek, Richard Shay, Timothy Vidas, Lujo Bauer, Nicolas Christin, Lorrie Faith Cranor, and Julio Lopez. “Guess Again (and Again and Again): Measuring Password Strength by Simulating Password-Cracking Algorithms.” In Security and Privacy (SP), 2012 IEEE Symposium On, 523–537. IEEE, 2012. Available at: http://ieeexplore.ieee.org/iel5/6233637/6234400/06234434.pdf. [ISO/IEC 2382-37] International Standards Organization, Information technology — Vocabulary — Part 37: Biometrics, 2017, available at: http://standards.iso.org/ittf/PubliclyAvailableStandards/c066693_ISO_IEC_2382-37_2017.zip. [ISO/IEC 10646] International Standards Organization, Universal Coded Character Set, 2014, available at: http://standards.iso.org/ittf/PubliclyAvailableStandards/c063182_ISO_IEC_10646_2014.zip. [ISO/IEC 24745] International Standards Organization, Information technology — Security techniques — Biometric information protection, 2011, available at: http://www.iso.org/iso/iso_catalogue/catalogue_tc/catalogue_detail.htm?csnumber=52946. [ISO/IEC 30107-1] International Standards Organization, Information technology — Biometric presentation attack detection — Part 1: Framework, 2016, available at: http://standards.iso.org/ittf/PubliclyAvailableStandards/c053227_ISO_IEC_30107-1_2016.zip. [ISO/IEC 30107-3] International Standards Organization, Information technology — Biometric presentation attack detection — Part 3: Testing and reporting, 2017. [RFC 20] Cerf, V., ASCII format for network interchange, STD 80, RFC 20, DOI 10.17487/RFC0020, October 1969, https://doi.org/10.17487/RFC0020. [RFC 5246] IETF, The Transport Layer Security (TLS) Protocol Version 1.2, RFC 5246, DOI 10.17487/RFC5246, August 2008, https://doi.org/10.17487/RFC5246. [RFC 5280] IETF, Internet X.509 Public Key Infrastructure Certificate and CRL Profile, RFC 5280, DOI 10.17487/RFC5280, May 2008, https://doi.org/10.17487/RFC5280. [RFC 6238] IETF, TOTP: Time-Based One-Time Password Algorithm,RFC 6238, DOI 10.17487/RFC6238, https://doi.org/10.17487/RFC6238. [RFC 6960] IETF, X.509 Internet Public Key Infrastructure Online Certificate Status Protocol - OCSP, RFC 6960, DOI 10.17487/RFC6960, https://doi.org/10.17487/RFC6960. [UAX 15] Unicode Consortium, Unicode Normalization Forms, Unicode Standard Annex 15, Version 9.0.0, February, 2016, available at: http://www.unicode.org/reports/tr15/. [SP 800-38B] NIST Special Publication 800-38B, Recommendation for Block Cipher Modes of Operation: the CMAC Mode for Authentication, October, 2016, http://dx.doi.org/10.6028/NIST.SP.800-38B. [SP 800-53] NIST Special Publication 800-53 Revision 4, Recommended Security and Privacy Controls for Federal Information Systems and Organizations, April 2013 (updated January 22, 2015), http://dx.doi.org/10.6028/NIST.SP.800-53r4. [SP 800-57 Part 1] NIST Special Publication 800-57 Part 1, Revision 4, Recommendation for Key Management, Part 1: General, January 2016, http://dx.doi.org/10.6028/NIST.SP.800-57pt1r4. [SP 800-63-3] NIST Special Publication 800-63-3, Digital Identity Guidelines, June 2017, https://doi.org/10.6028/NIST.SP.800-63-3. [SP 800-63A] NIST Special Publication 800-63A, Digital Identity Guidelines: Enrollment and Identity Proofing Requirements, June 2017, https://doi.org/10.6028/NIST.SP.800-63a. [SP 800-63C] NIST Special Publication 800-63C, Digital Identity Guidelines: Federation and Assertions, June 2017, https://doi.org/10.6028/NIST.SP.800-63c. [SP 800-90Ar1] NIST Special Publication 800-90A Revision 1, Recommendation for Random Number Generation Using Deterministic Random Bit Generators, June 2015, http://dx.doi.org/10.6028/NIST.SP.800-90Ar1. [SP 800-107] NIST Special Publication 800-107 Revision 1, Recommendation for Applications Using Approved Hash Algorithms, August 2012, http://dx.doi.org/10.6028/NIST.SP.800-107r1. [SP 800-132] NIST Special Publication 800-132, Recommendation for Password-Based Key Derivation, December 2010, http://dx.doi.org/10.6028/NIST.SP.800-132. [SP 800-185] NIST Special Publication 800-185, SHA-3 Derived Functions: cSHAKE, KMAC, TupleHash, and ParallelHash, December, 2016, https://doi.org/10.6028/NIST.SP.800-185. [FIPS 140-2] Federal Information Processing Standard Publication 140-2, Security Requirements for Cryptographic Modules, May 25, 2001 (with Change Notices through December 3, 2002), https://doi.org/10.6028/NIST.FIPS.140-2. [FIPS 198-1] Federal Information Processing Standard Publication 198-1, The Keyed-Hash Message Authentication Code (HMAC), July 2008, https://doi.org/10.6028/NIST.FIPS.198-1. [FIPS 202] Federal Information Processing Standard Publication 202, SHA-3 Standard: Permutation-Based Hash and Extendable-Output Functions, August 2015, http://dx.doi.org/10.6028/NIST.FIPS.202. Throughout this appendix, the word “password” is used for ease of discussion. Where used, it should be interpreted to include passphrases and PINs as well as passwords. Despite widespread frustration with the use of passwords from both a usability and security standpoint, they remain a very widely used form of authentication [Persistence]. Humans, however, have only a limited ability to memorize complex, arbitrary secrets, so they often choose passwords that can be easily guessed. To address the resultant security concerns, online services have introduced rules in an effort to increase the complexity of these memorized secrets. The most notable form of these is composition rules, which require the user to choose passwords constructed using a mix of character types, such as at least one digit, uppercase letter, and symbol. However, analyses of breached password databases reveal that the benefit of such rules is not nearly as significant as initially thought [Policies], although the impact on usability and memorability is severe. Complexity of user-chosen passwords has often been characterized using the information theory concept of entropy [Shannon]. While entropy can be readily calculated for data having deterministic distribution functions, estimating the entropy for user-chosen passwords is difficult and past efforts to do so have not been particularly accurate. For this reason, a different and somewhat simpler approach, based primarily on password length, is presented herein. Many attacks associated with the use of passwords are not affected by password complexity and length. Keystroke logging, phishing, and social engineering attacks are equally effective on lengthy, complex passwords as simple ones. These attacks are outside the scope of this Appendix. Password length has been found to be a primary factor in characterizing password strength [Strength] [Composition]. Passwords that are too short yield to brute force attacks as well as to dictionary attacks using words and commonly chosen passwords. The minimum password length that should be required depends to a large extent on the threat model being addressed. Online attacks where the attacker attempts to log in by guessing the password can be mitigated by limiting the rate of login attempts permitted. In order to prevent an attacker (or a persistent claimant with poor typing skills) from easily inflicting a denial-of-service attack on the subscriber by making many incorrect guesses, passwords need to be complex enough that rate limiting does not occur after a modest number of erroneous attempts, but does occur before there is a significant chance of a successful guess. Offline attacks are sometimes possible when one or more hashed passwords is obtained by the attacker through a database breach. The ability of the attacker to determine one or more users’ passwords depends on the way in which the password is stored. Commonly, passwords are salted with a random value and hashed, preferably using a computationally expensive algorithm. Even with such measures, the current ability of attackers to compute many billions of hashes per second with no rate limiting requires passwords intended to resist such attacks to be orders of magnitude more complex than those that are expected to resist only online attacks. Users should be encouraged to make their passwords as lengthy as they want, within reason. Since the size of a hashed password is independent of its length, there is no reason not to permit the use of lengthy passwords (or pass phrases) if the user wishes. Extremely long passwords (perhaps megabytes in length) could conceivably require excessive processing time to hash, so it is reasonable to have some limit. As noted above, composition rules are commonly used in an attempt to increase the difficulty of guessing user-chosen passwords. Research has shown, however, that users respond in very predictable ways to the requirements imposed by composition rules [Policies]. For example, a user that might have chosen “password” as their password would be relatively likely to choose “Password1” if required to include an uppercase letter and a number, or “Password1!” if a symbol is also required. Users also express frustration when attempts to create complex passwords are rejected by online services. Many services reject passwords with spaces and various special characters. In some cases, the special characters that are not accepted might be an effort to avoid attacks like SQL injection that depend on those characters. But a properly hashed password would not be sent intact to a database in any case, so such precautions are unnecessary. Users should also be able to include space characters to allow the use of phrases. Spaces themselves, however, add little to the complexity of passwords and may introduce usability issues (e.g., the undetected use of two spaces rather than one), so it may be beneficial to remove repeated spaces in typed passwords prior to verification. Users’ password choices are very predictable, so attackers are likely to guess passwords that have been successful in the past. These include dictionary words and passwords from previous breaches, such as the “Password1!” example above. For this reason, it is recommended that passwords chosen by users be compared against a “black list” of unacceptable passwords. This list should include passwords from previous breach corpuses, dictionary words, and specific words (such as the name of the service itself) that users are likely to choose. Since user choice of passwords will also be governed by a minimum length requirement, this dictionary need only include entries meeting that requirement. Highly complex memorized secrets introduce a new potential vulnerability: they are less likely to be memorable, and it is more likely that they will be written down or stored electronically in an unsafe manner. While these practices are not necessarily vulnerable, statistically some methods of recording such secrets will be. This is an additional motivation not to require excessively long or complex memorized secrets. Another factor that determines the strength of memorized secrets is the process by which they are generated. Secrets that are randomly chosen (in most cases by the verifier or CSP) and are uniformly distributed will be more difficult to guess or brute-force attack than user-chosen secrets meeting the same length and complexity requirements. Accordingly, at LOA2, SP 800-63-2 permitted the use of randomly generated PINs with 6 or more digits while requiring user-chosen memorized secrets to be a minimum of 8 characters long. As discussed above, the threat model being addressed with memorized secret length requirements includes rate-limited online attacks, but not offline attacks. With this limitation, 6 digit randomly-generated PINs are still considered adequate for memorized secrets. Length and complexity requirements beyond those recommended here significantly increase the difficulty of memorized secrets and increase user frustration. As a result, users often work around these restrictions in a way that is counterproductive. Furthermore, other mitigations such as blacklists, secure hashed storage, and rate limiting are more effective at preventing modern brute-force attacks. Therefore, no additional complexity requirements are imposed.